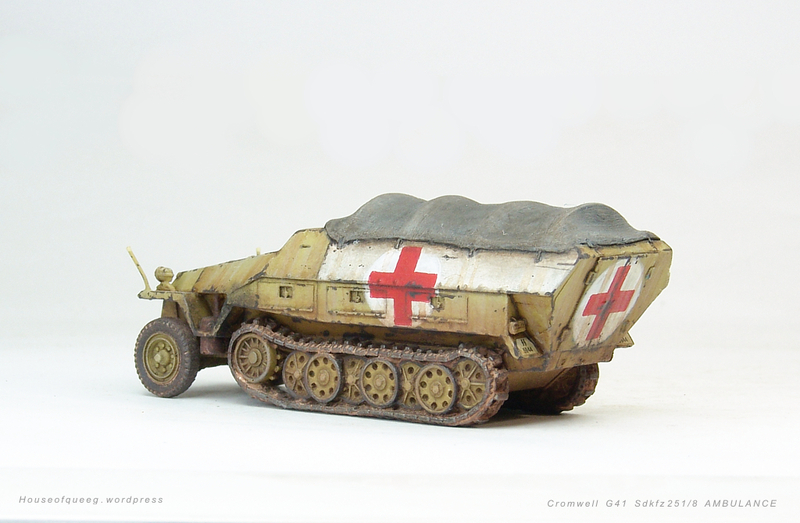 One of the original ideas behind posting my older stuff was for me to have another back up somewhere, after suffering through a loss of data a while back there’s a little voice that keeps reminding me to look after what I managed to recover. 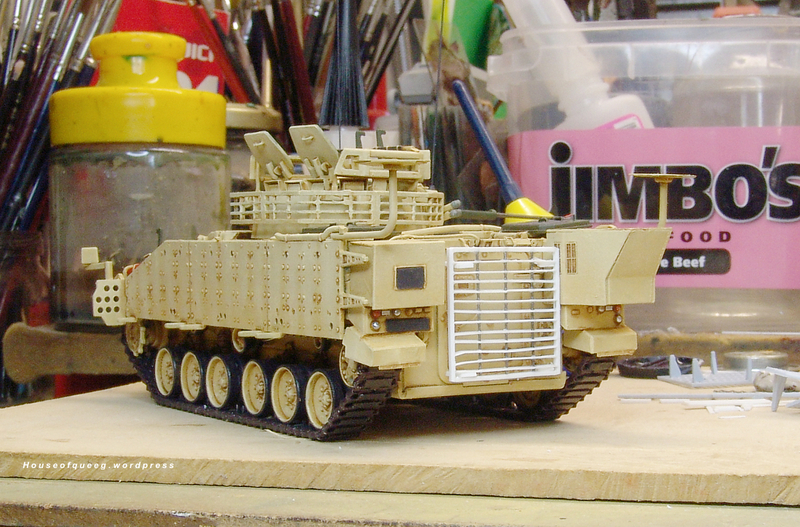 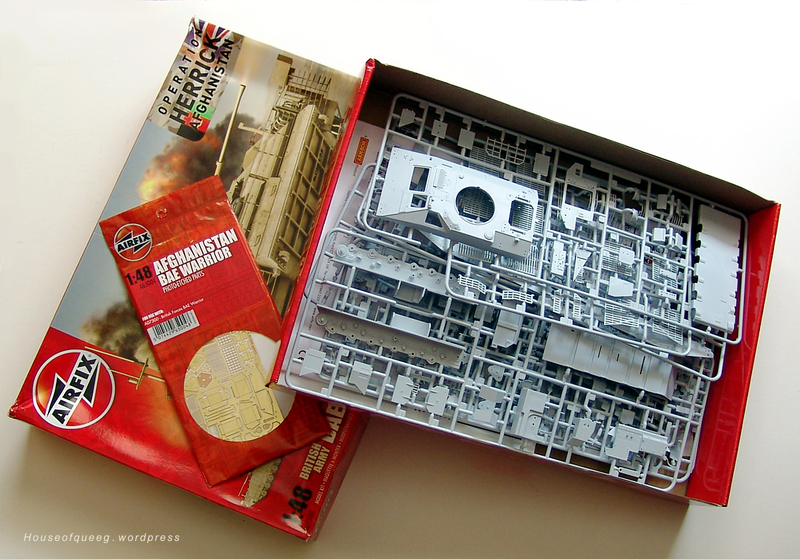 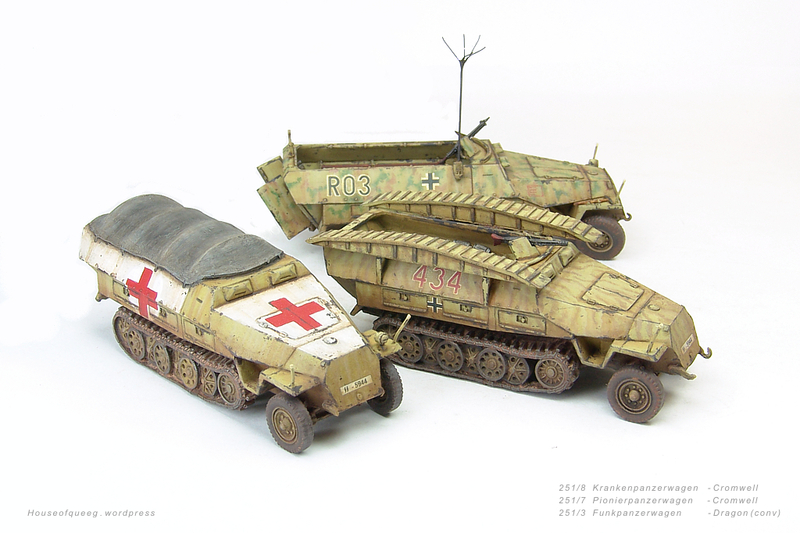 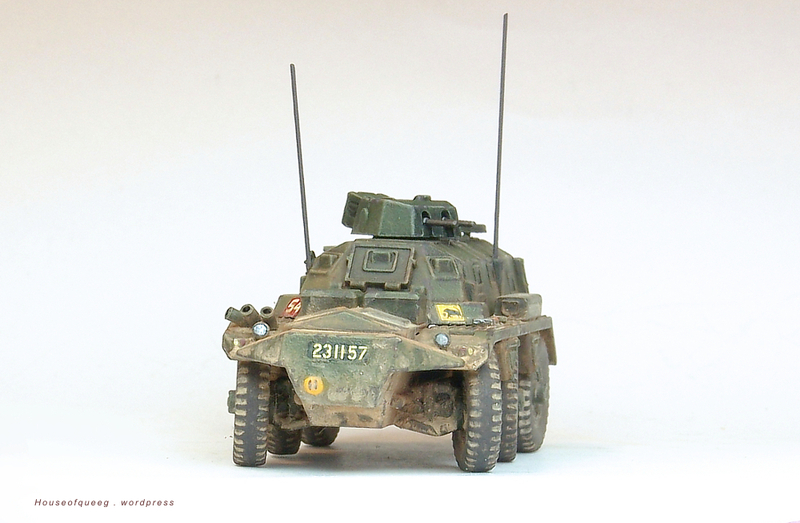 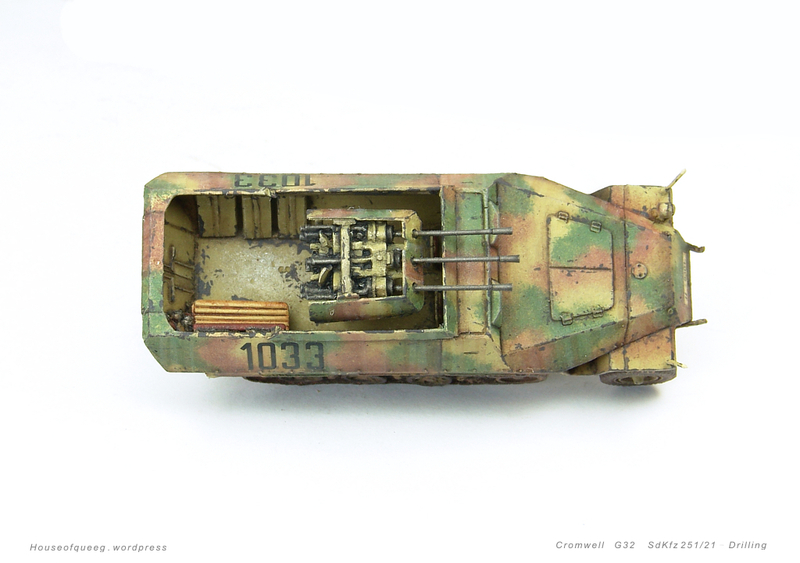 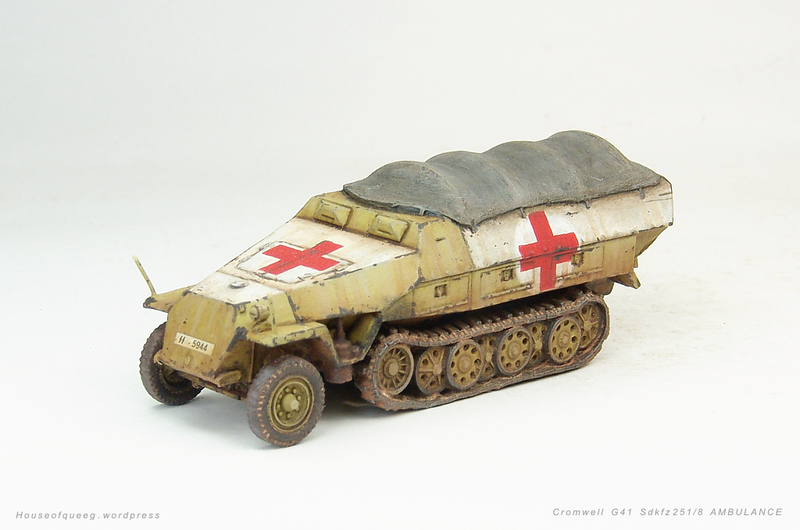 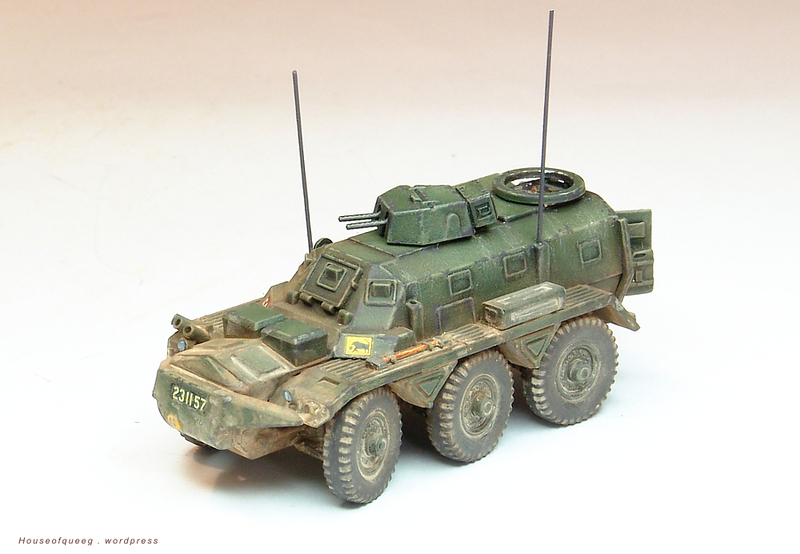 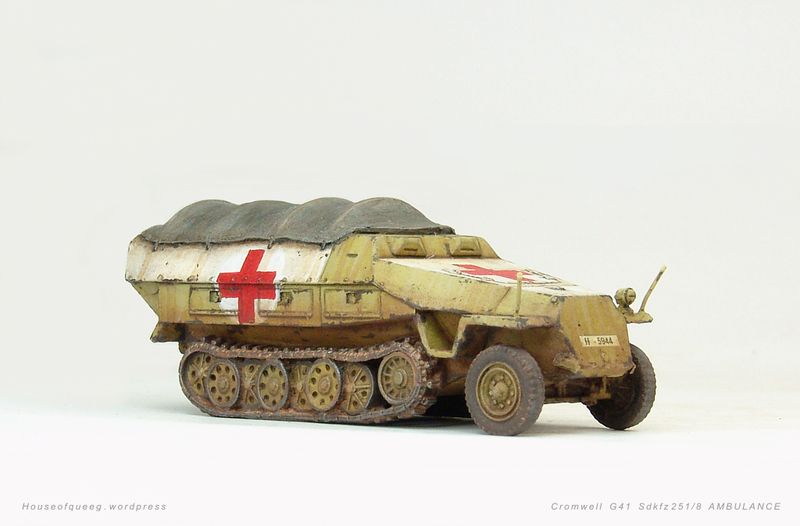 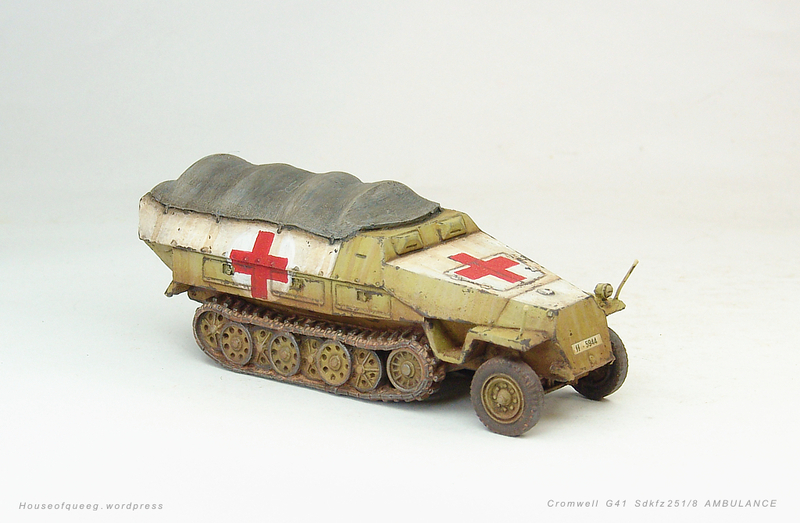 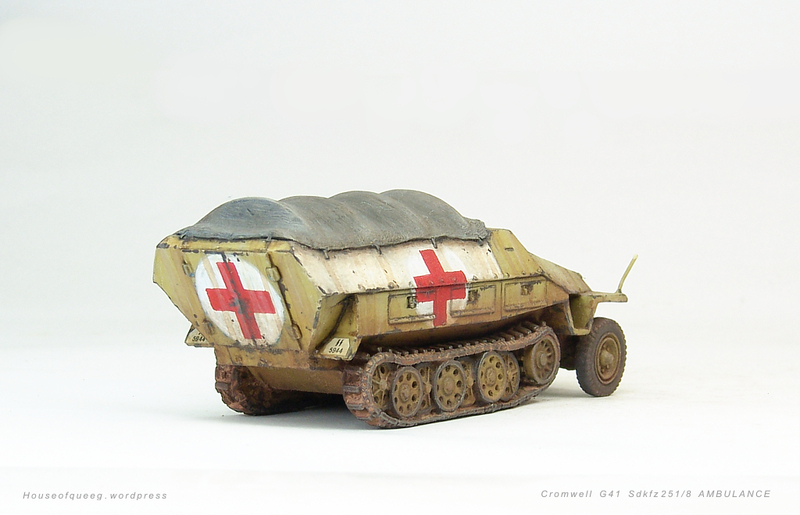 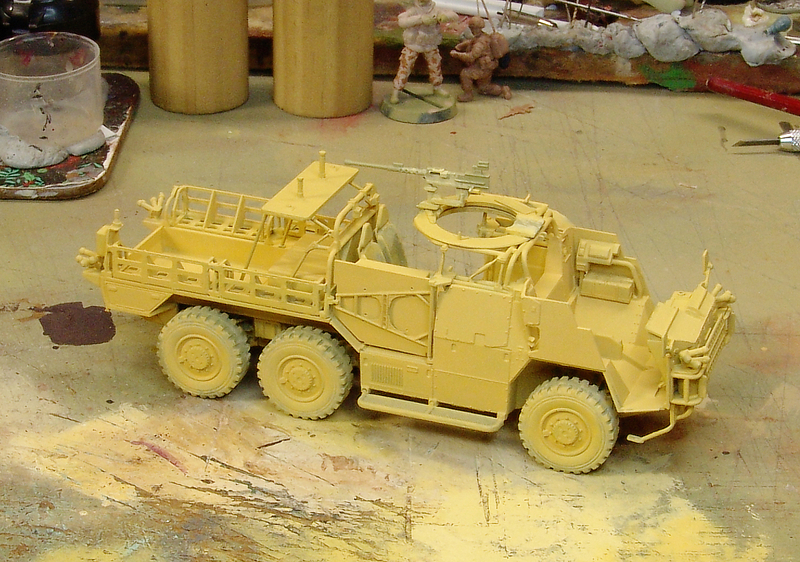 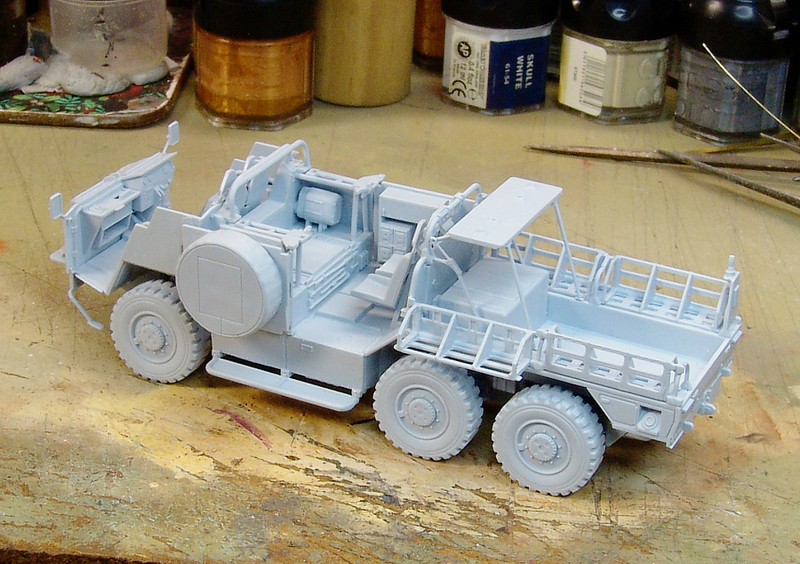 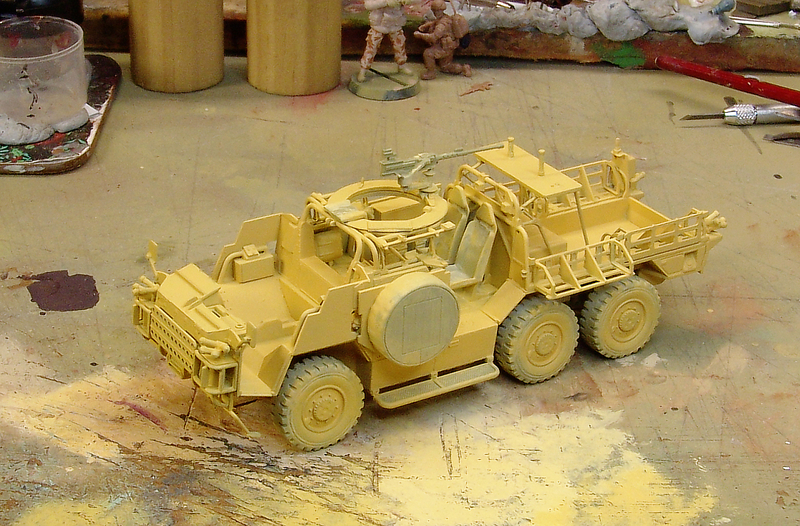 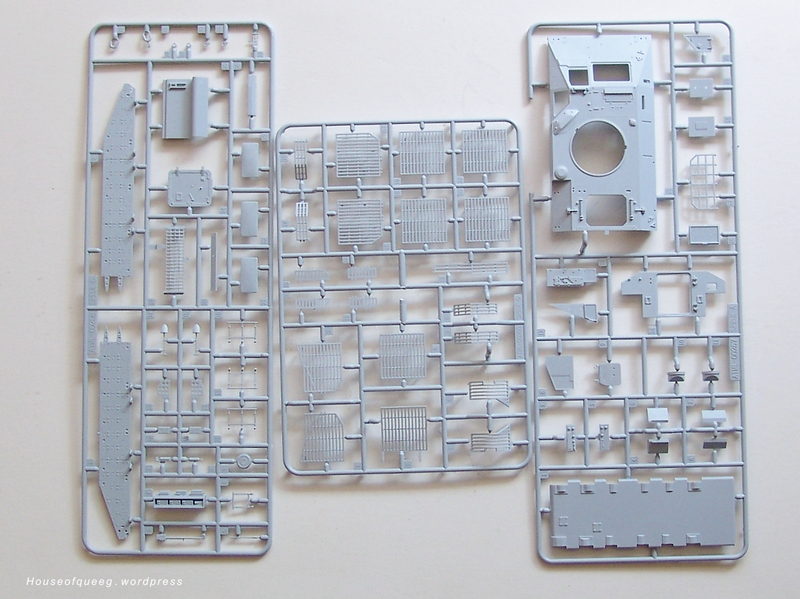 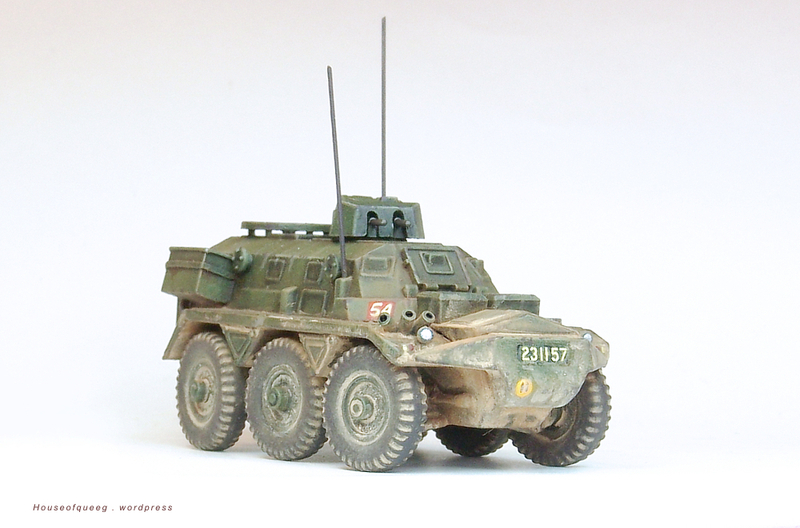 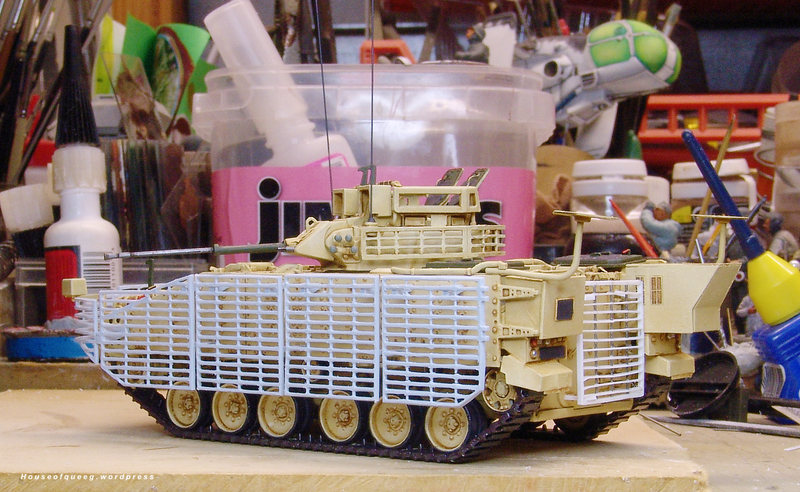 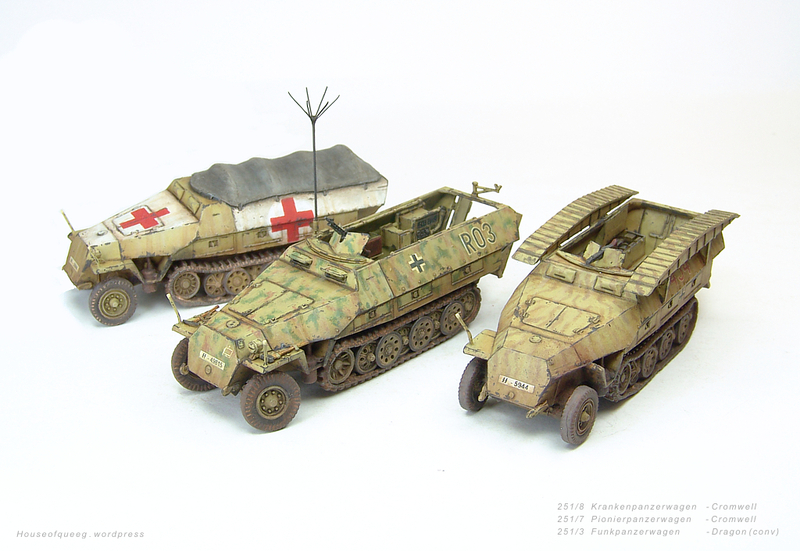 Anyway here’s the first one, a 251/8 Ambulance from the Crowmell Combat Ready range. 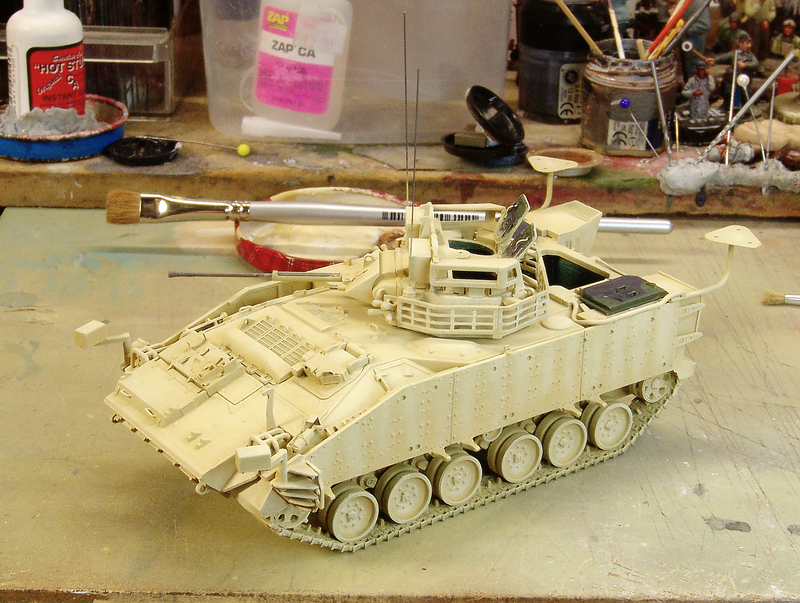 An oldie which needs a little updating which it will get as finish the platoon later this year. 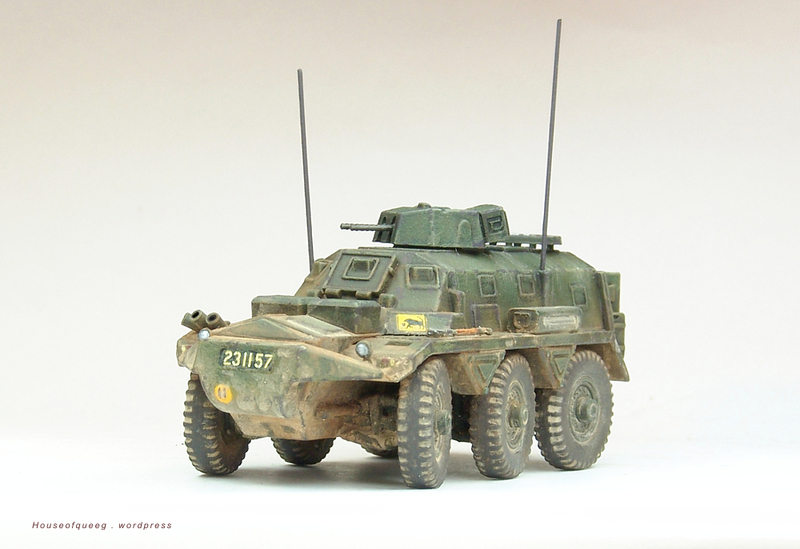 At present this is the APC our Project ’46 Brits use in the Armoured Infantry Battalion which is directly attached to each Armoured Brigade. 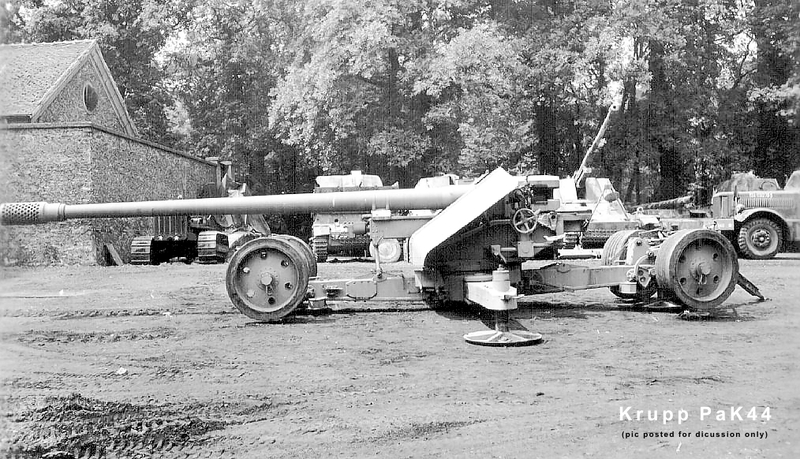 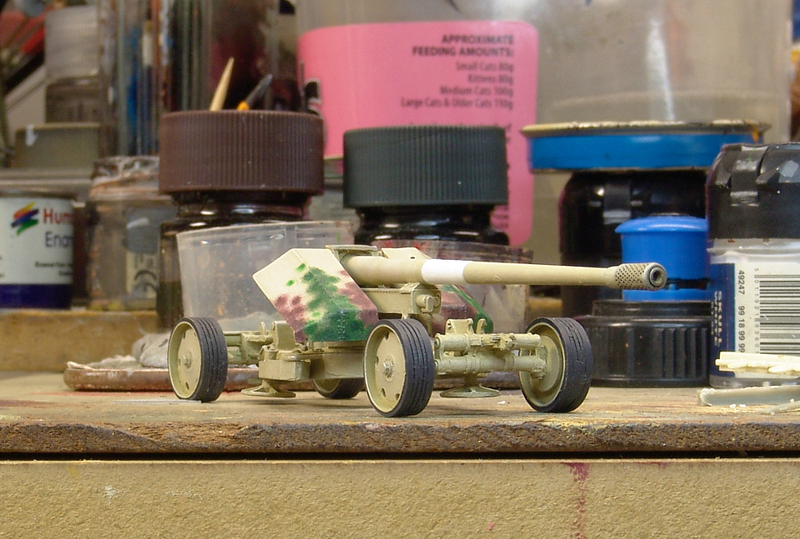 In this case it’s from the 8th Motor Battalion – The Rifle Brigade. 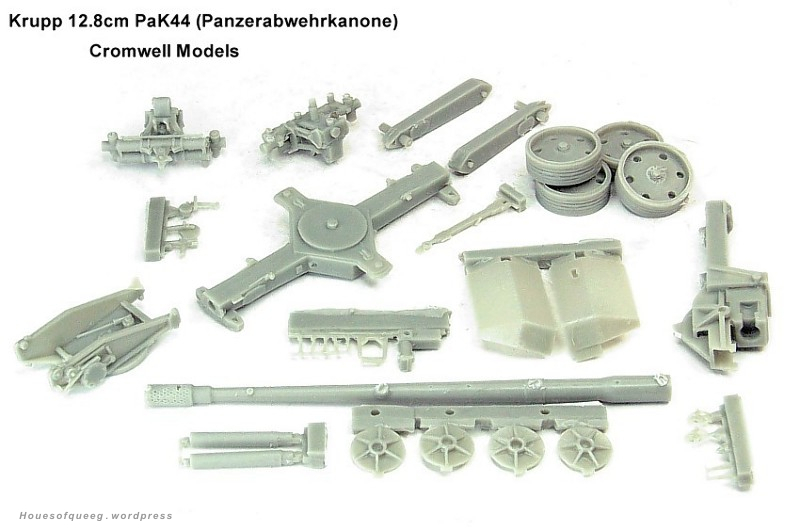 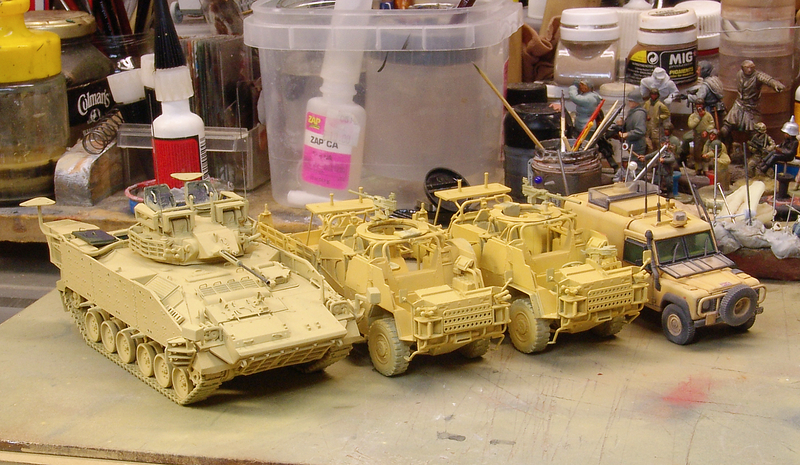 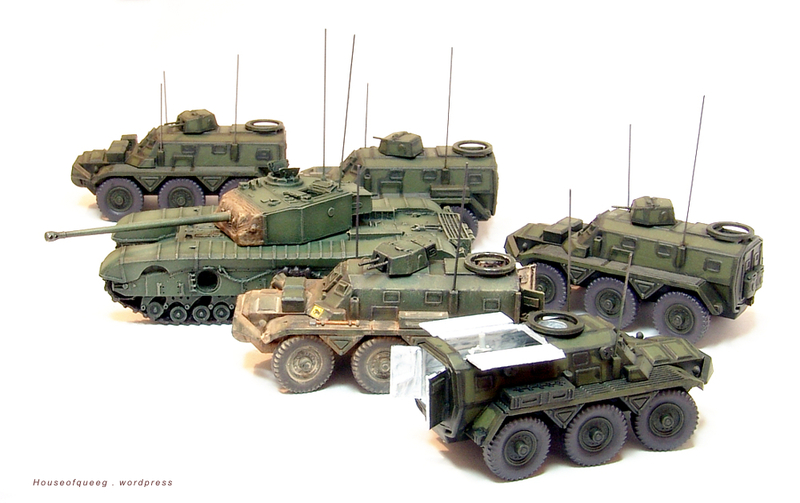 I’ve current got enough Saracens to have 4 APCs (1 a platoon commnad vehicle), a 120mm mortar and a company command APC. 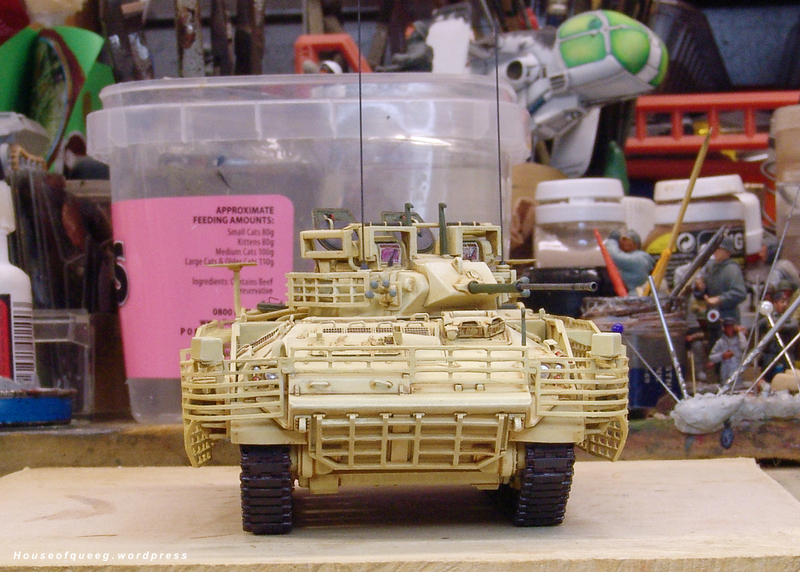 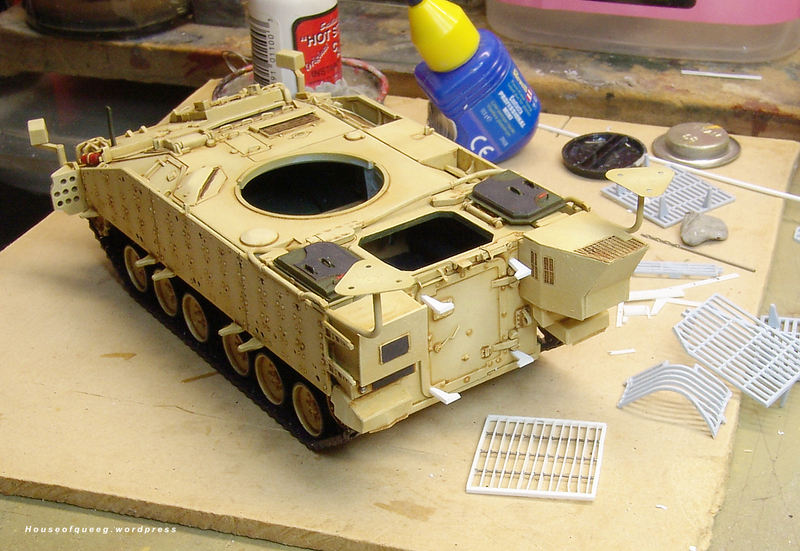 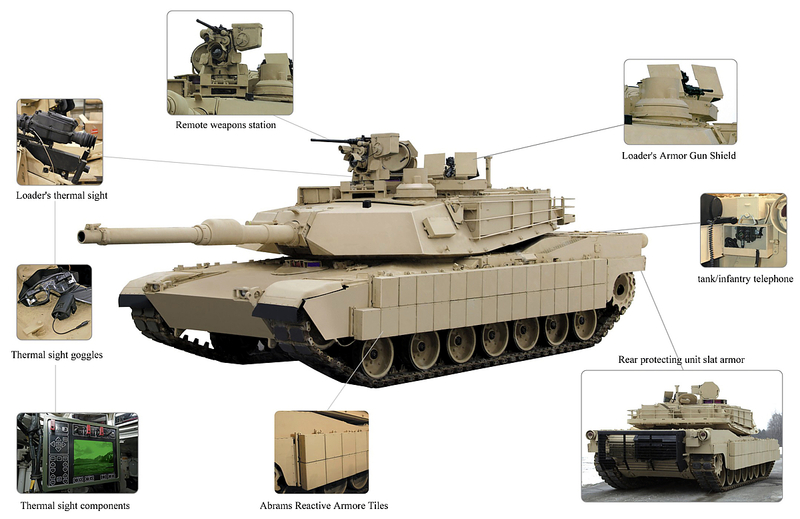 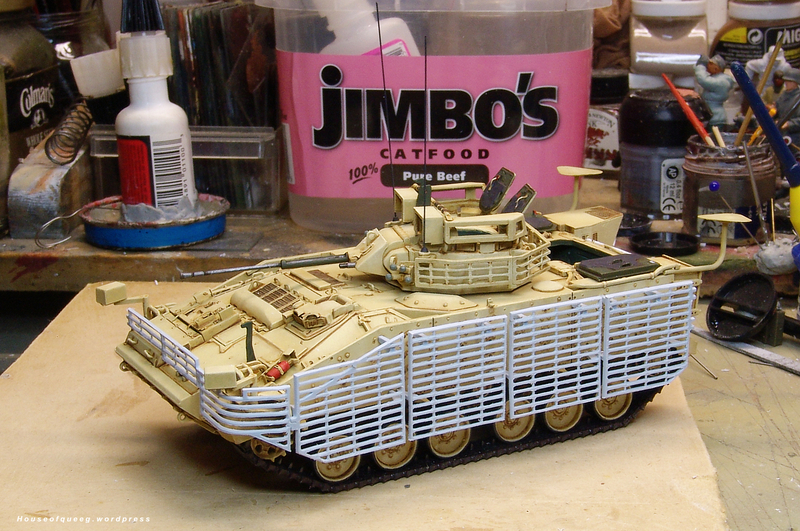 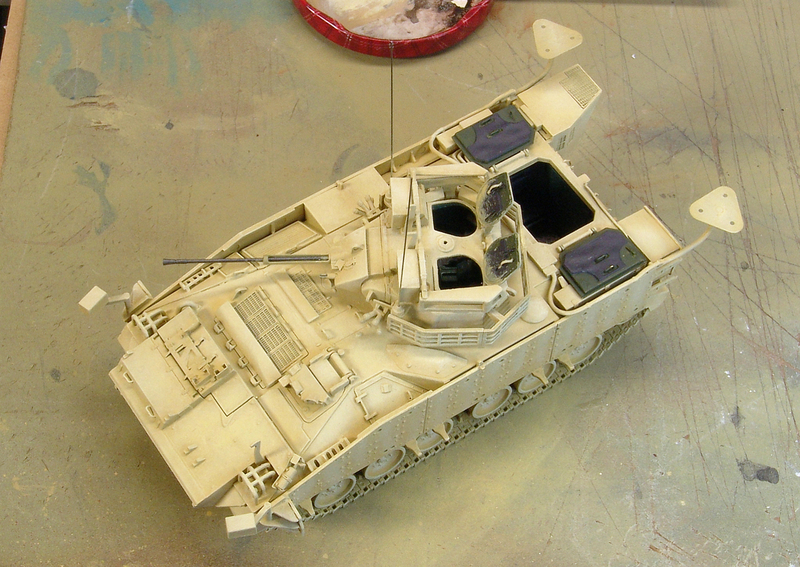 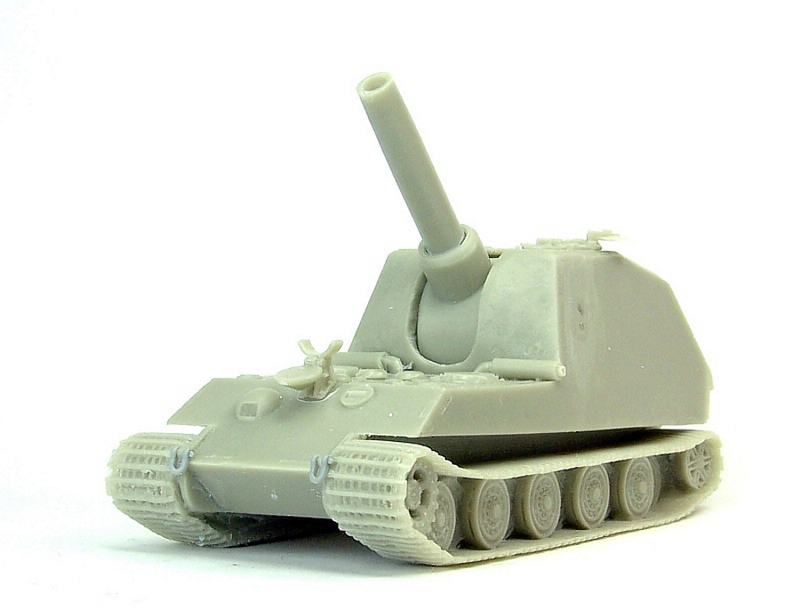 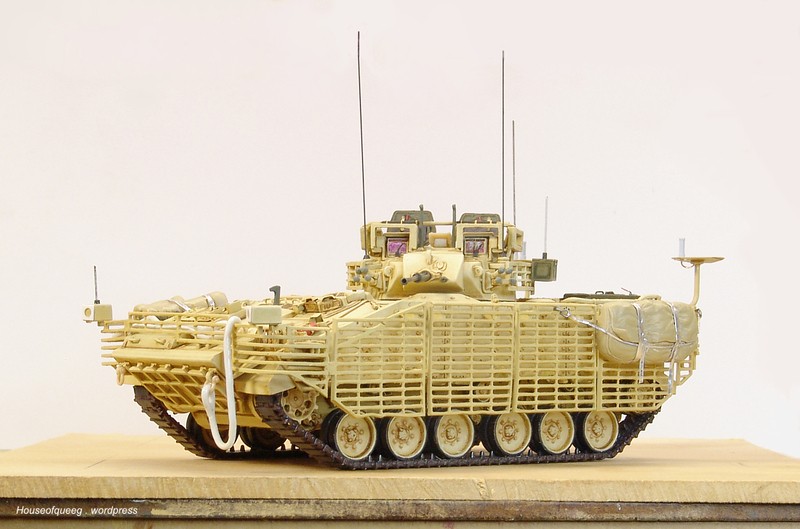 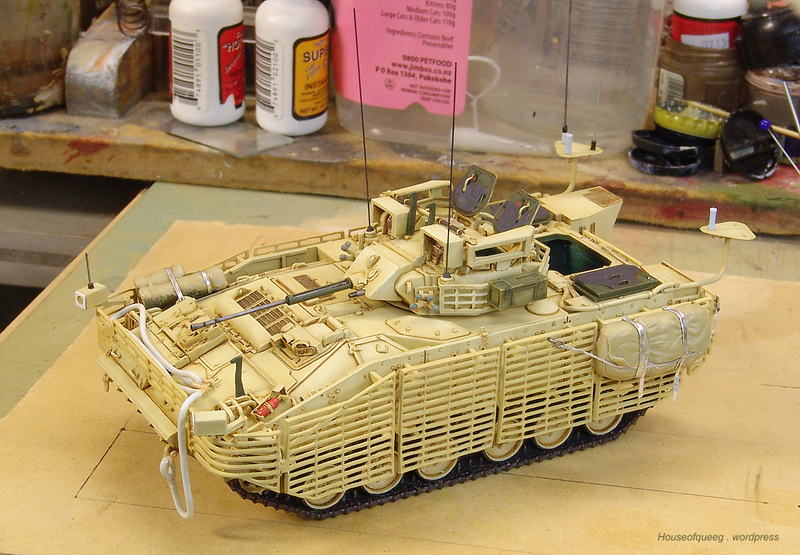 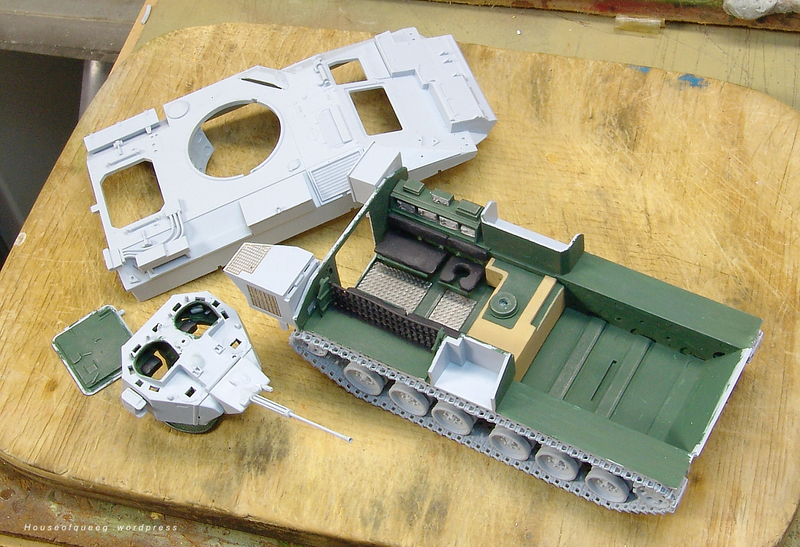 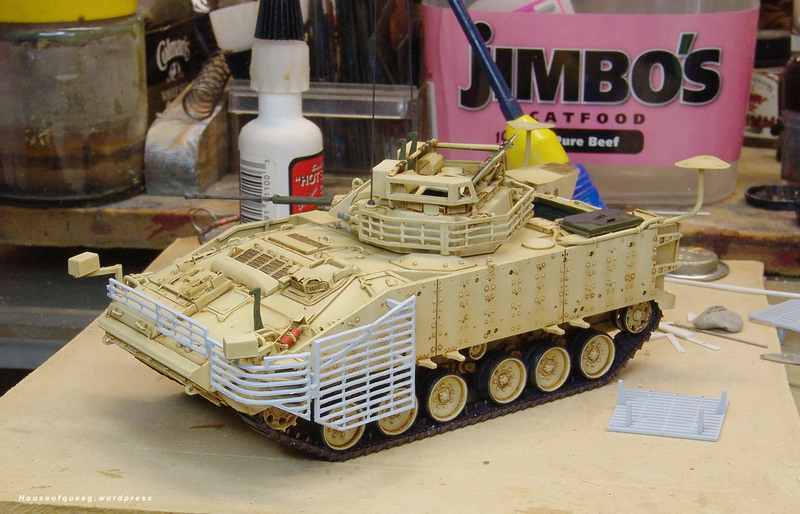 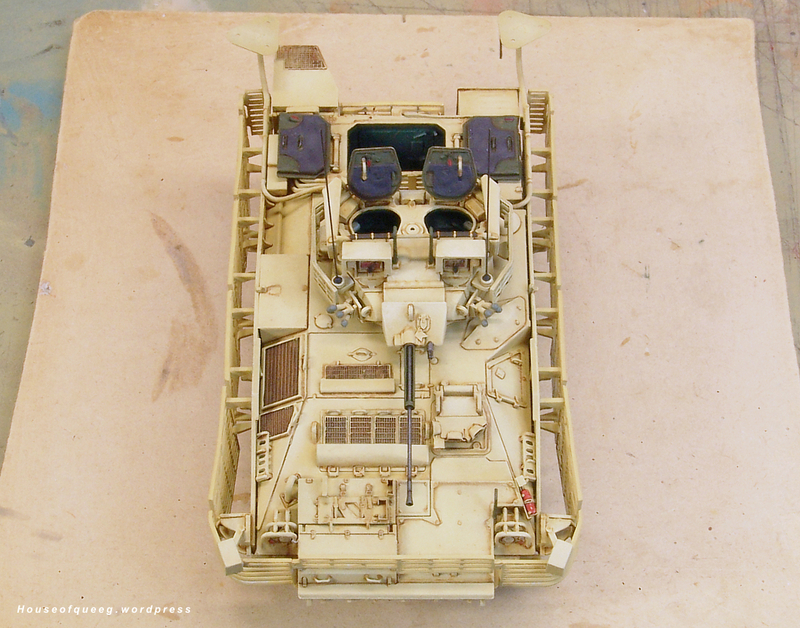 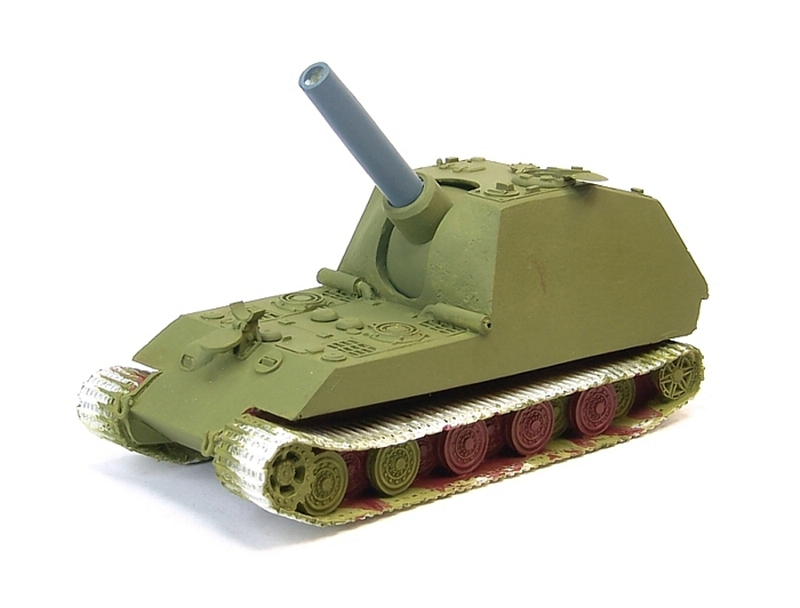 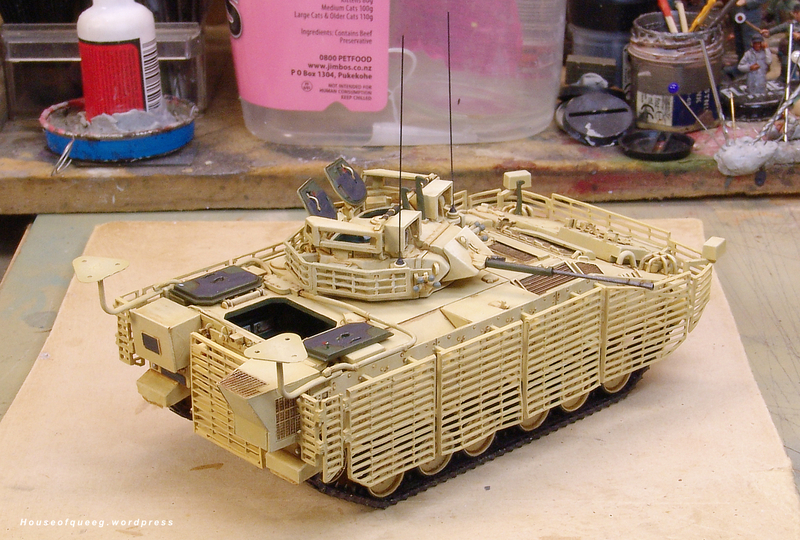 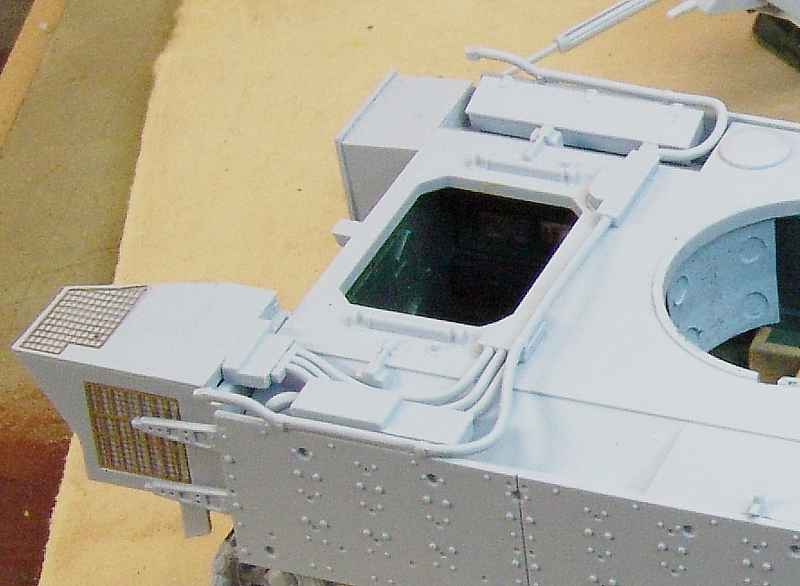 The plan is to make the platoon commanders vehicle a FV604 ACV with the roof mounted stowage bins and to convert at least one apc to a .50cal larger turret version. 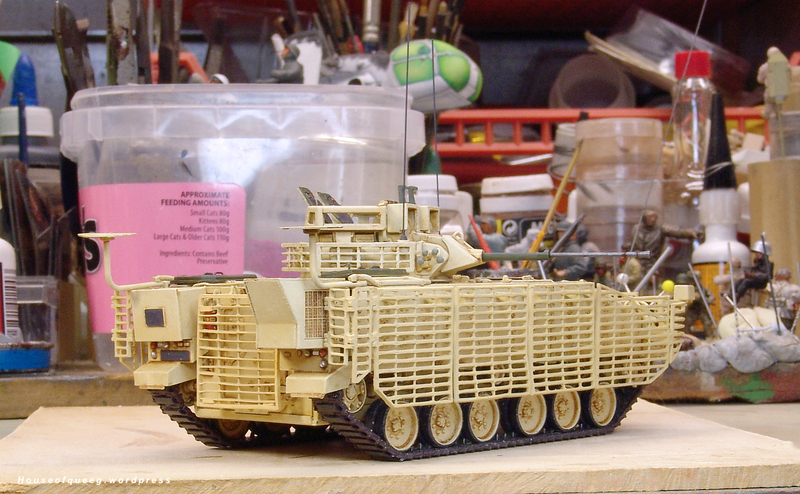 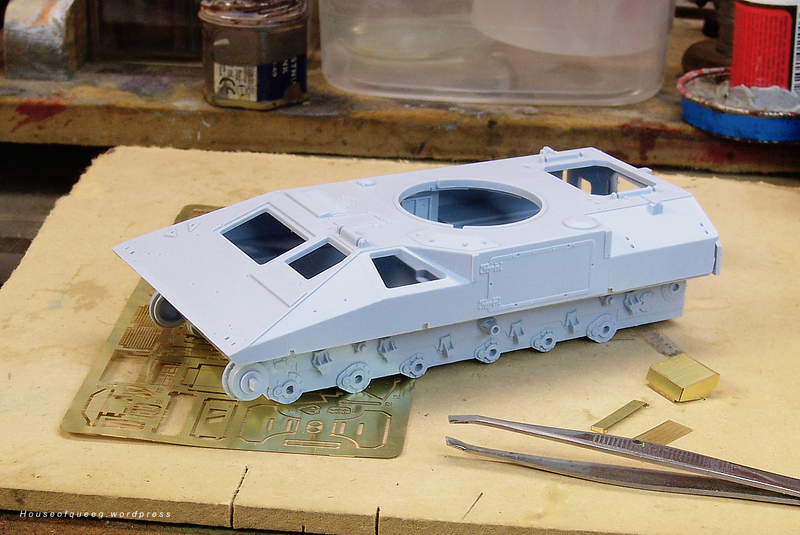 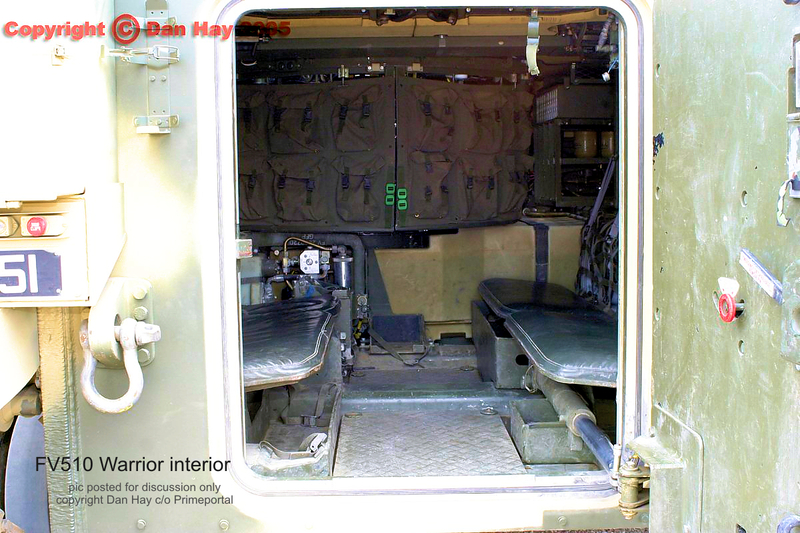 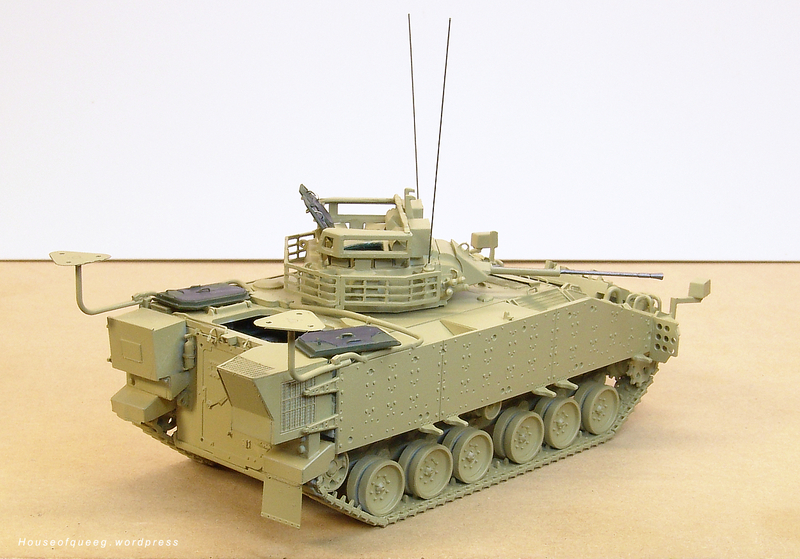 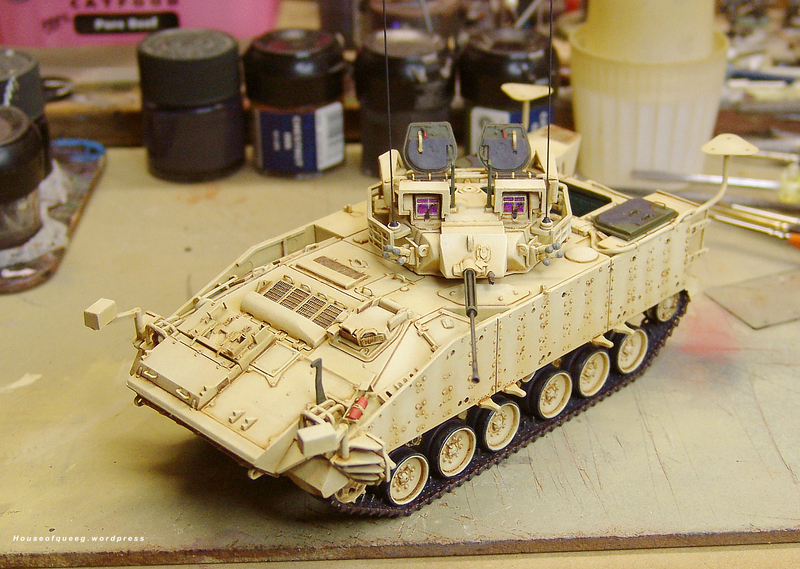 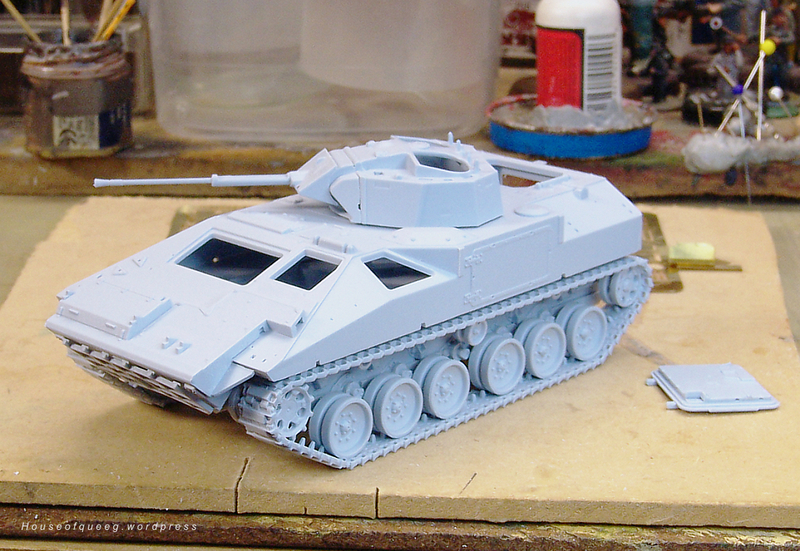 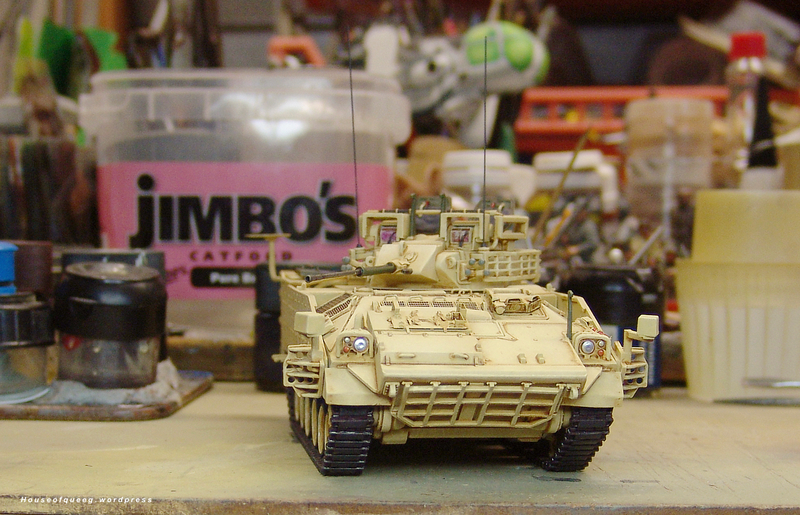 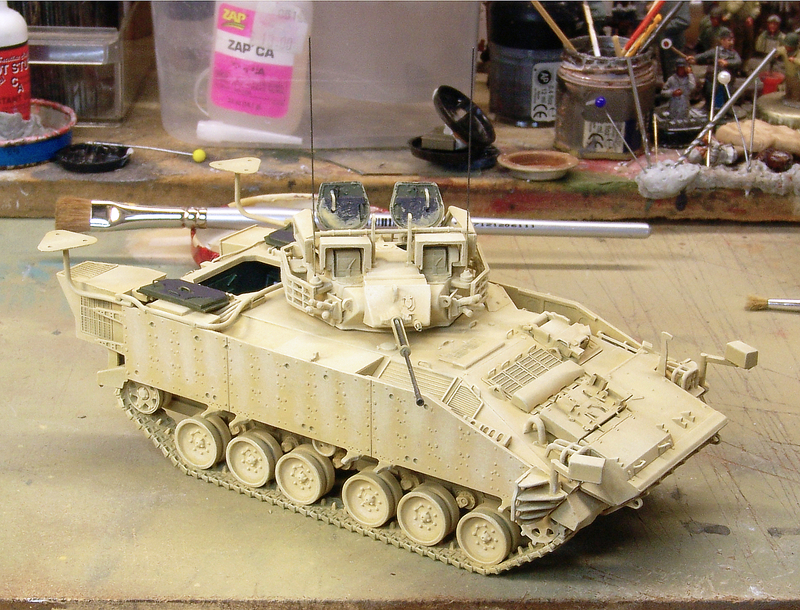 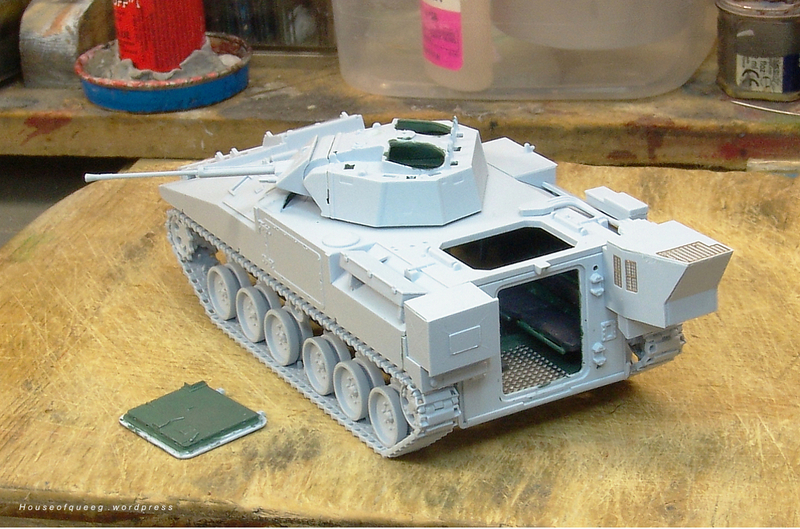 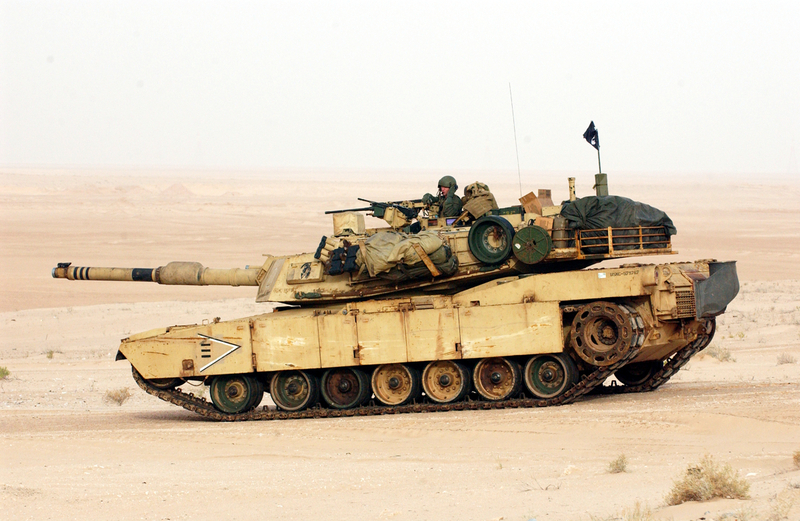 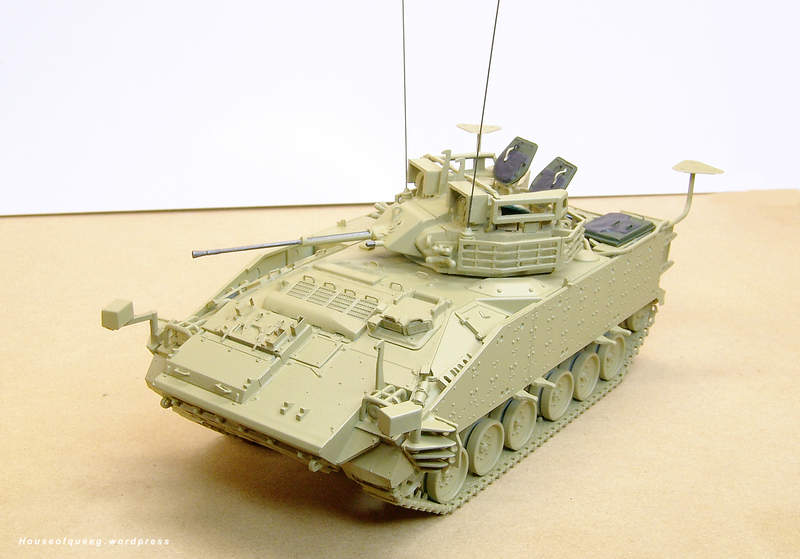 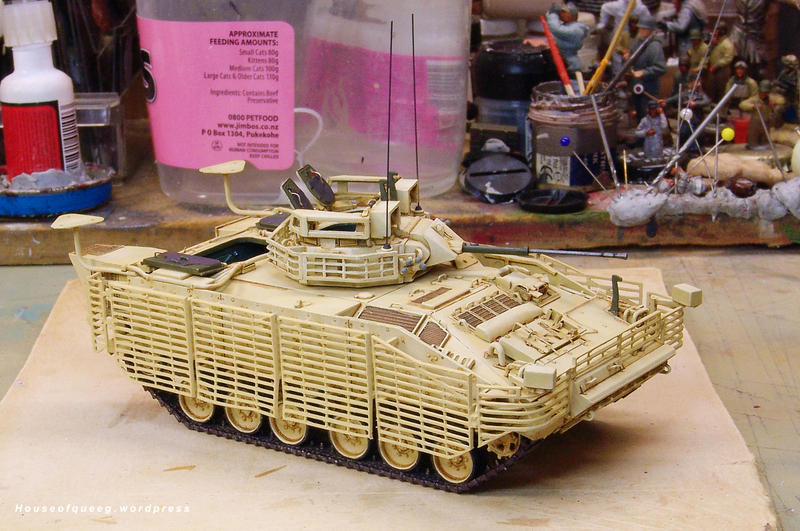 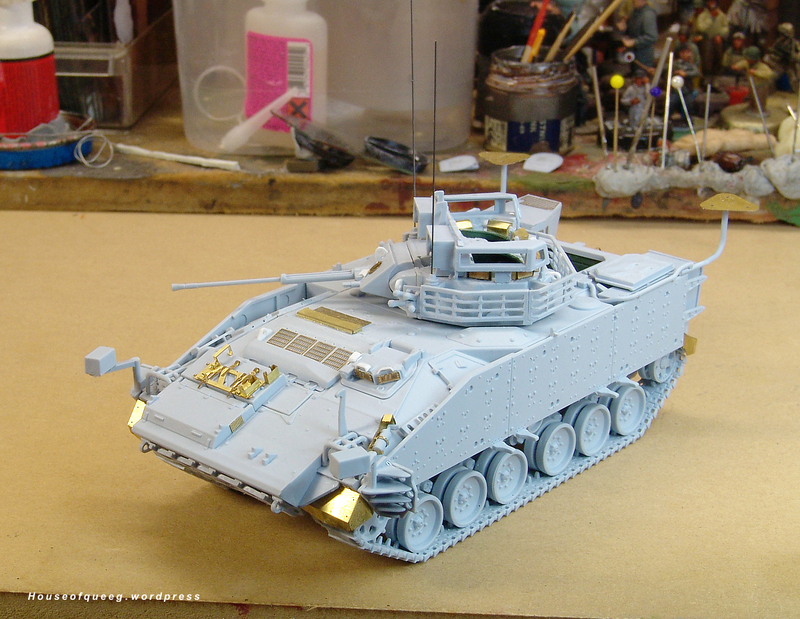 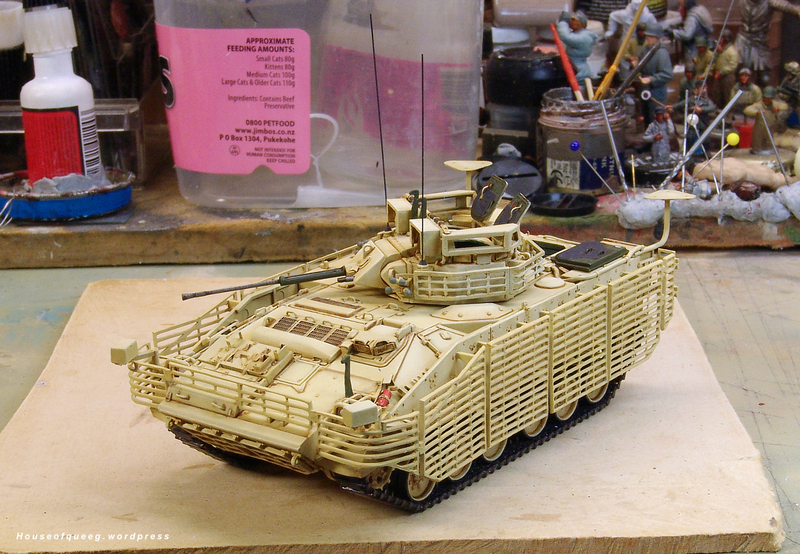 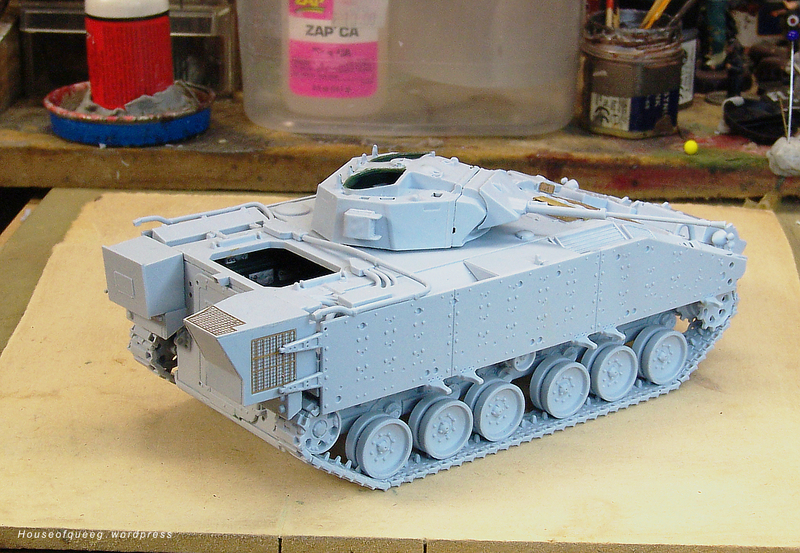 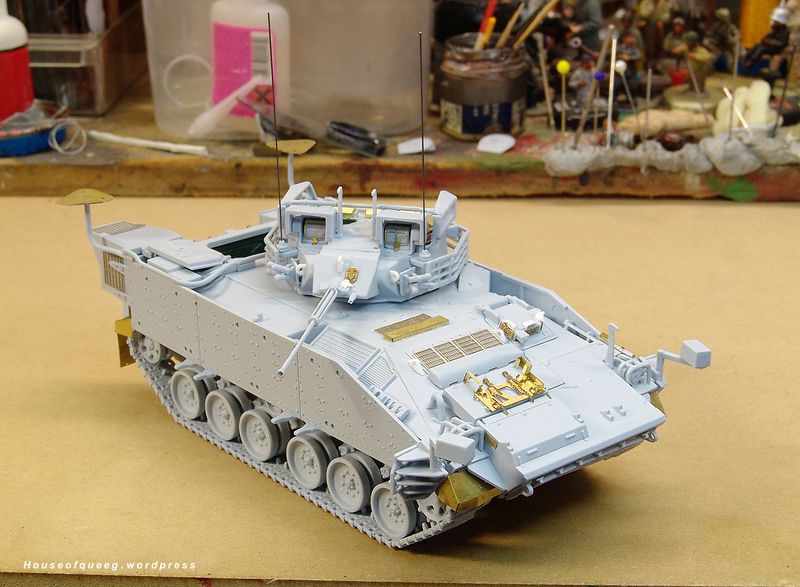 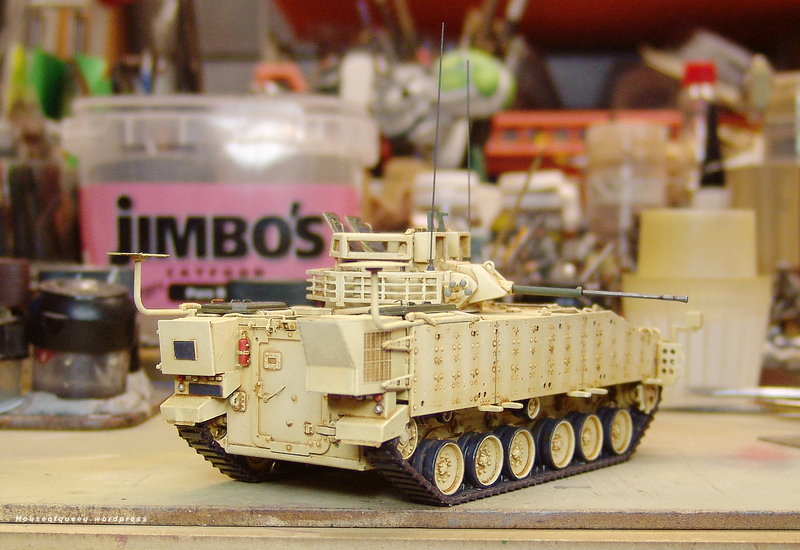 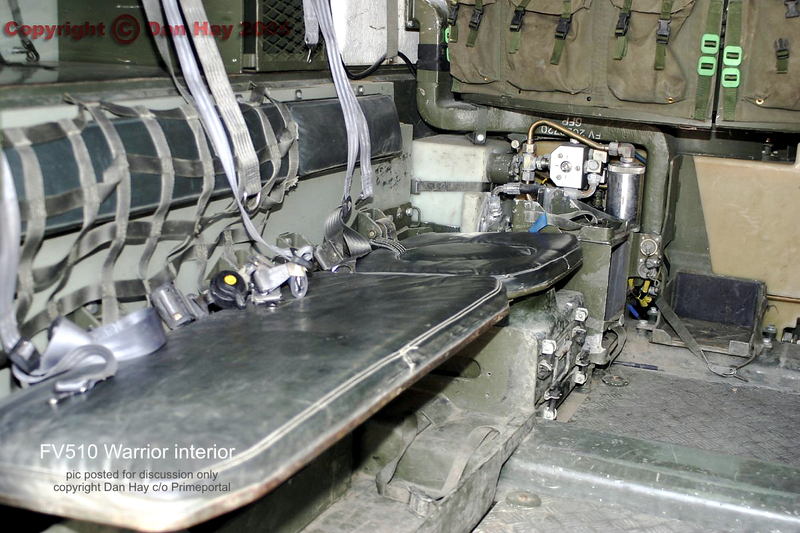 The company commander will ride in a converted RA command post FV610, the version with the tall extended roof. 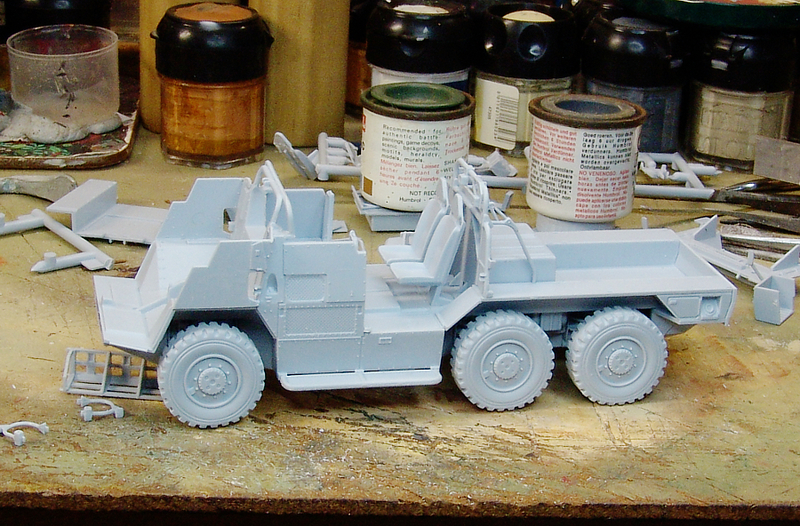 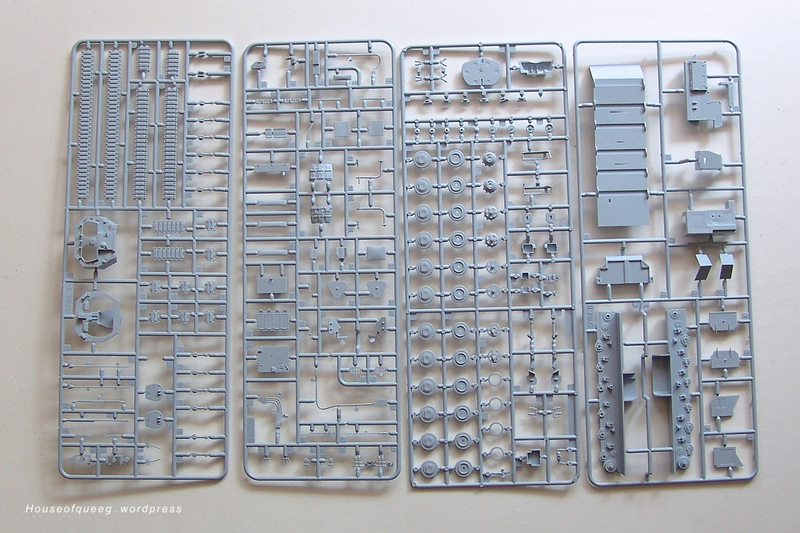 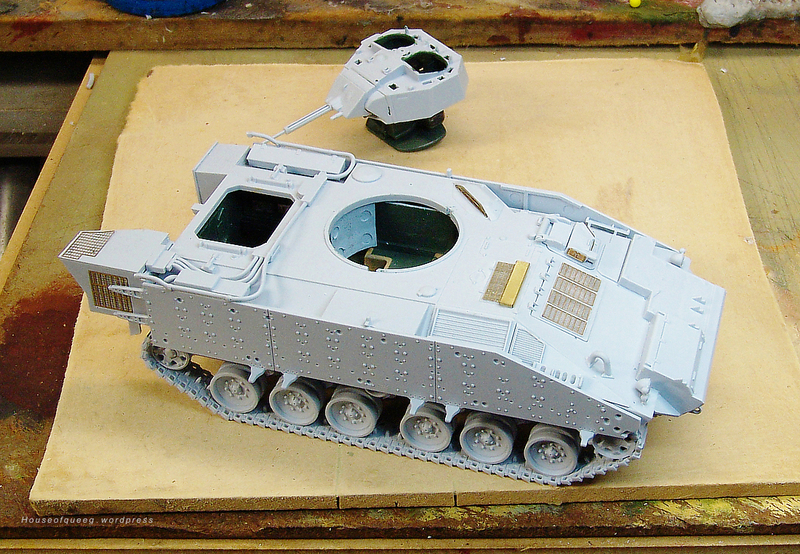 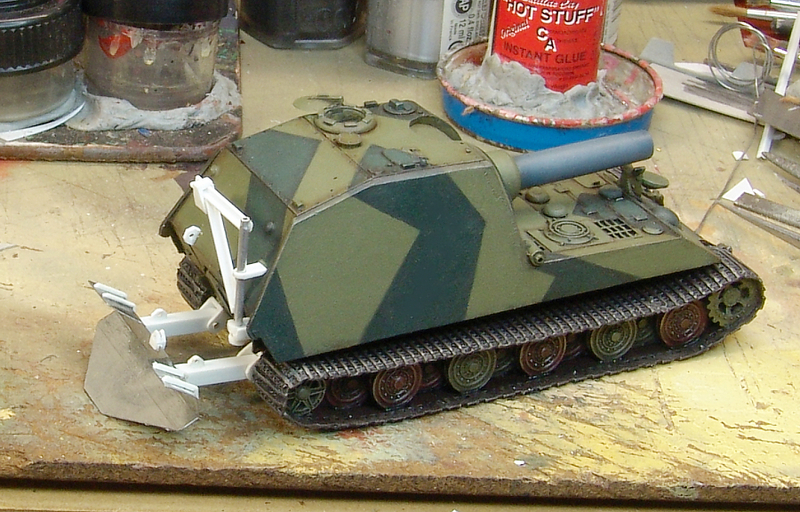 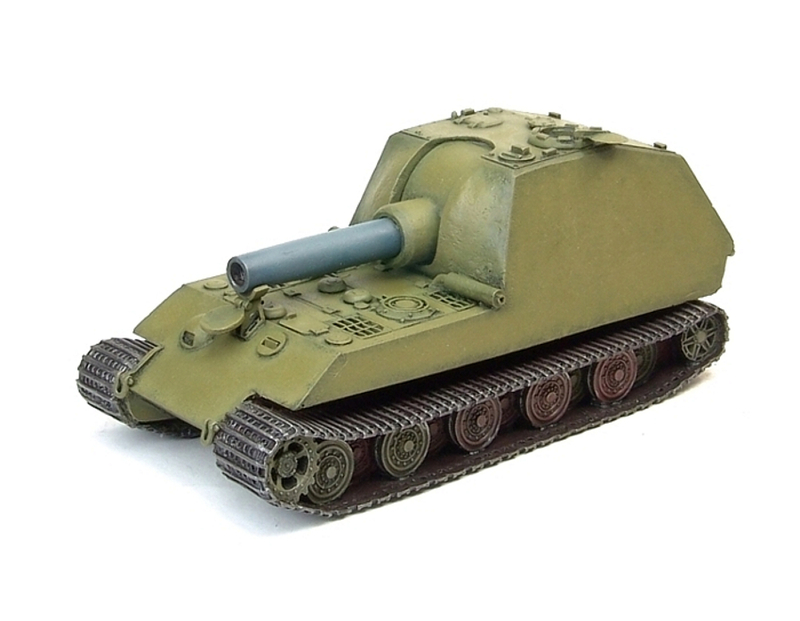 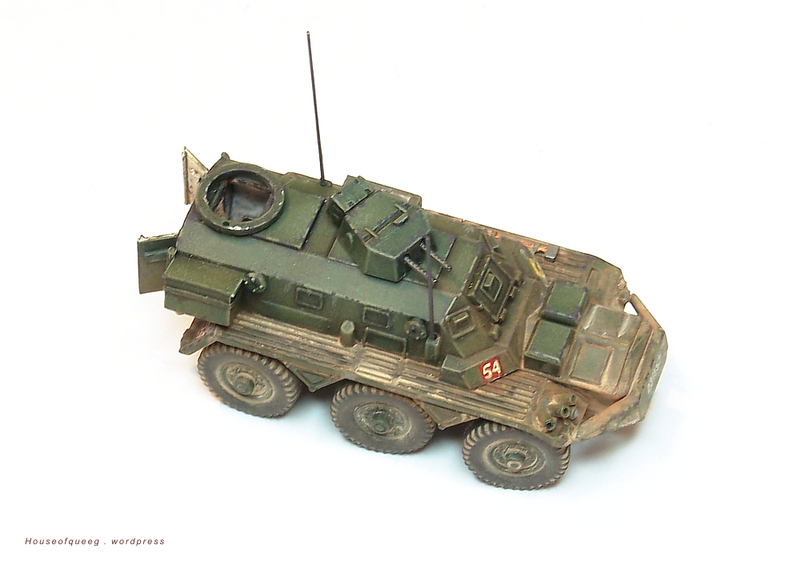 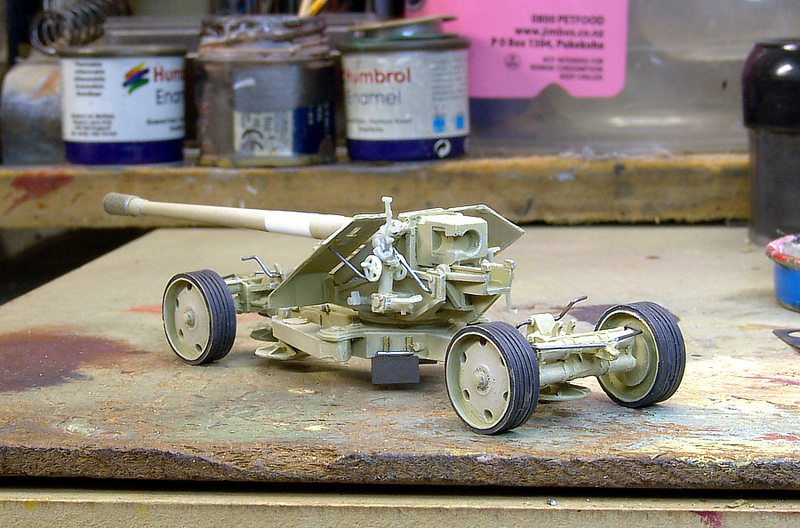 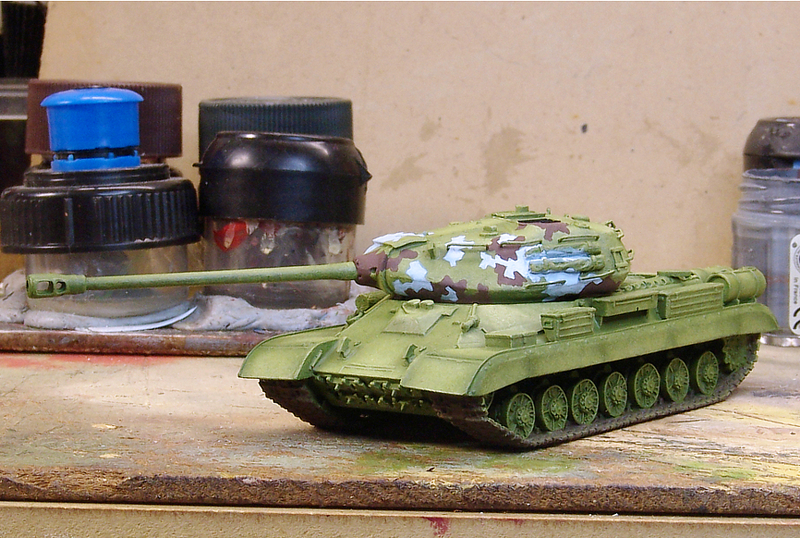 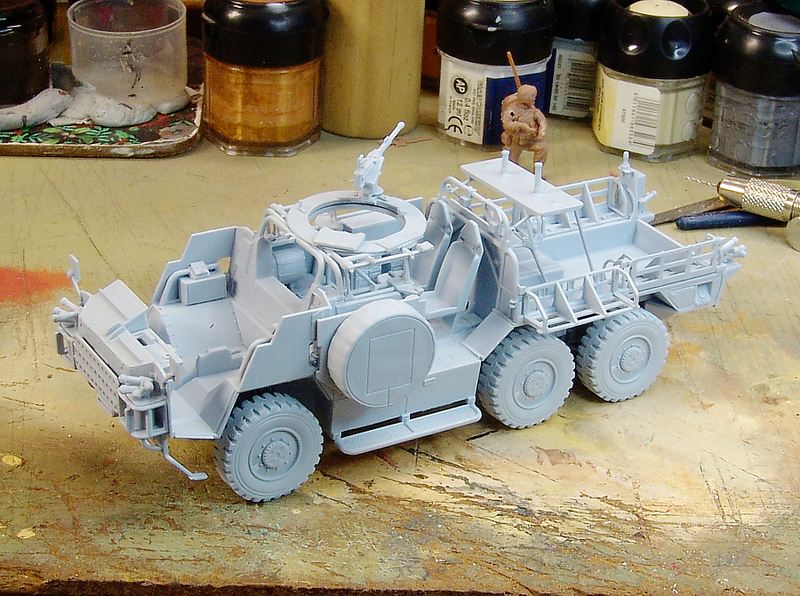 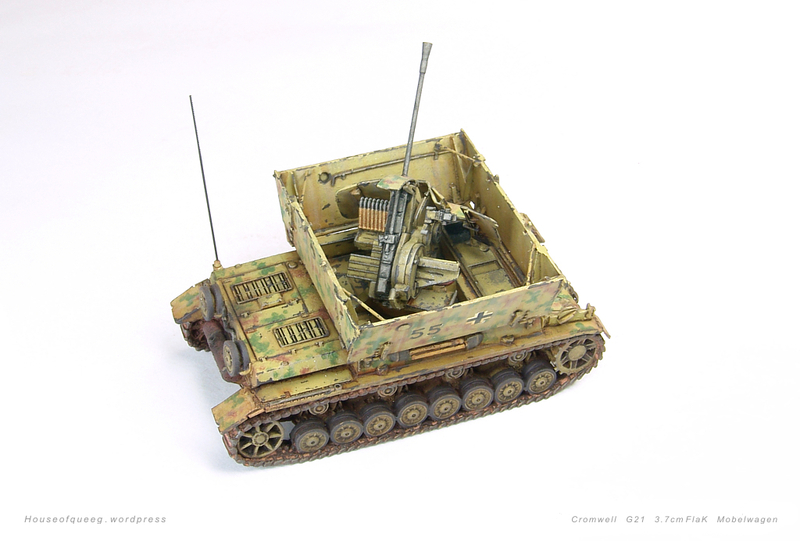 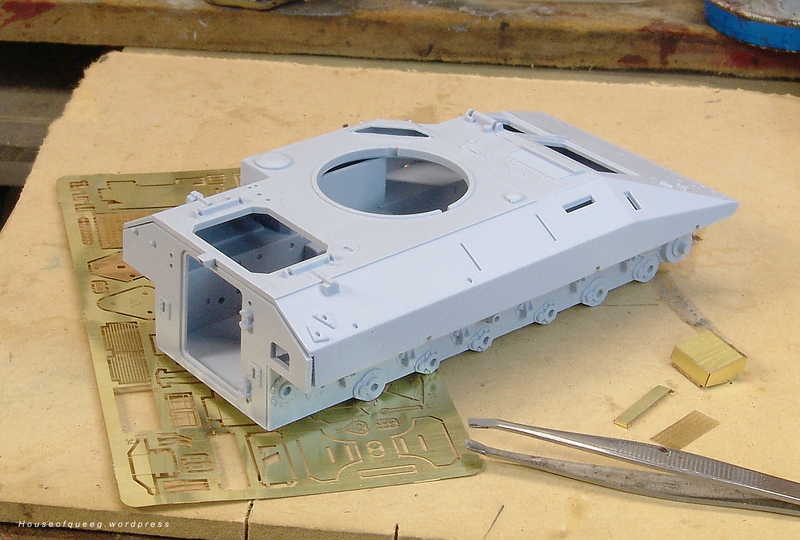 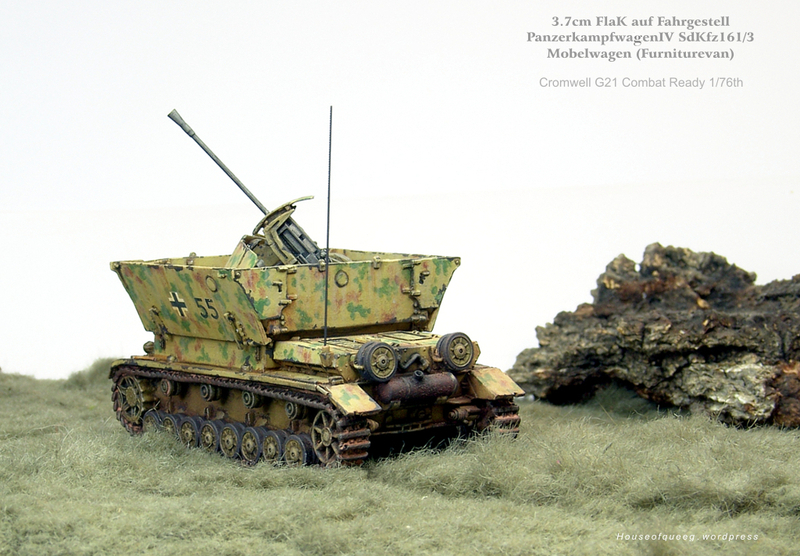 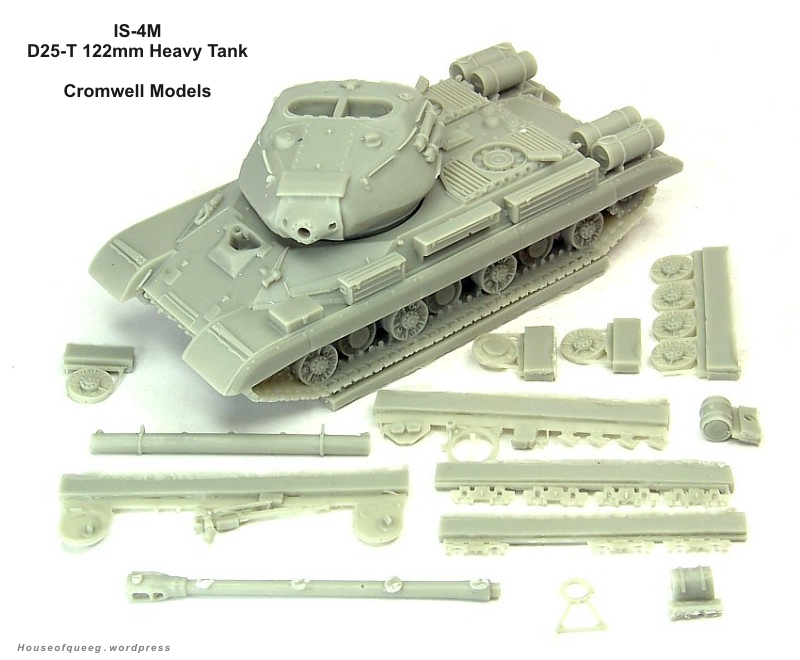 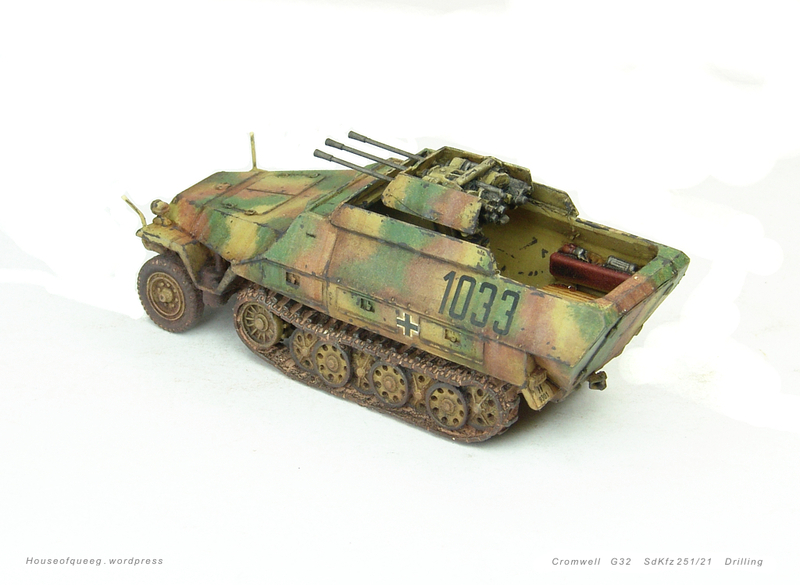 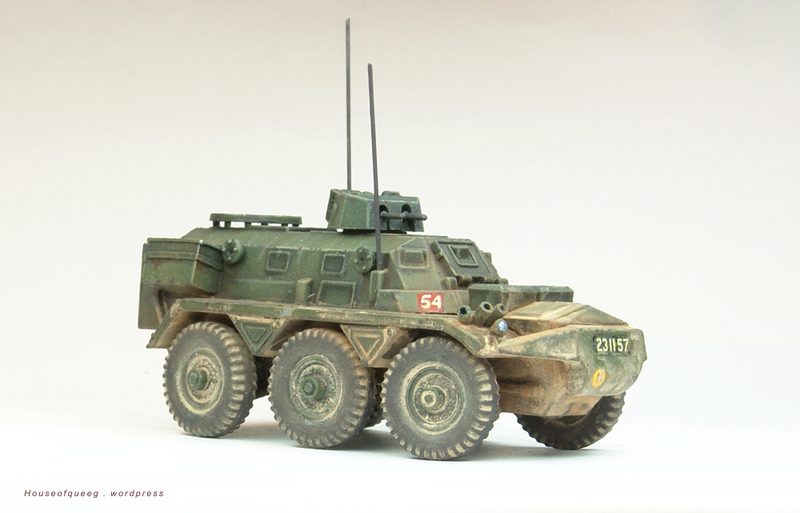 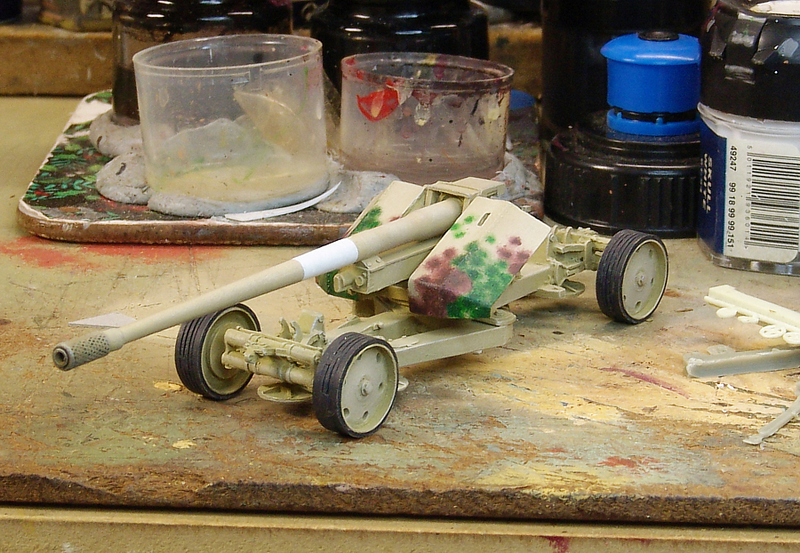 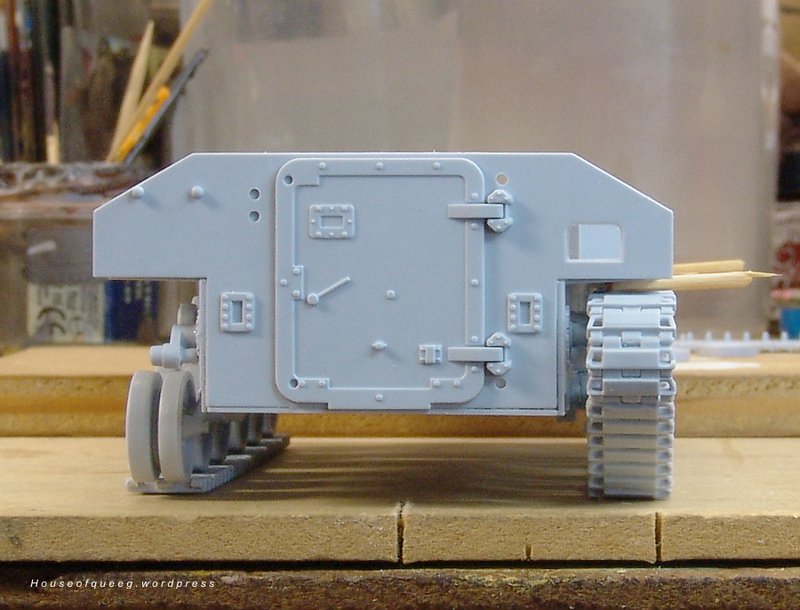 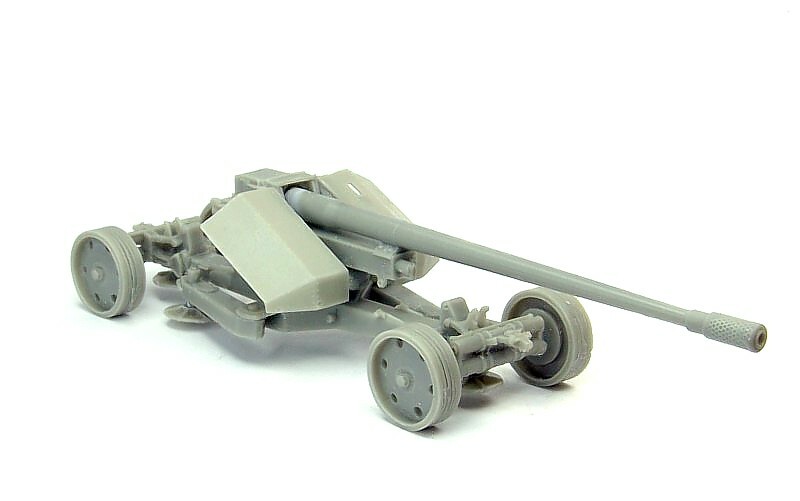 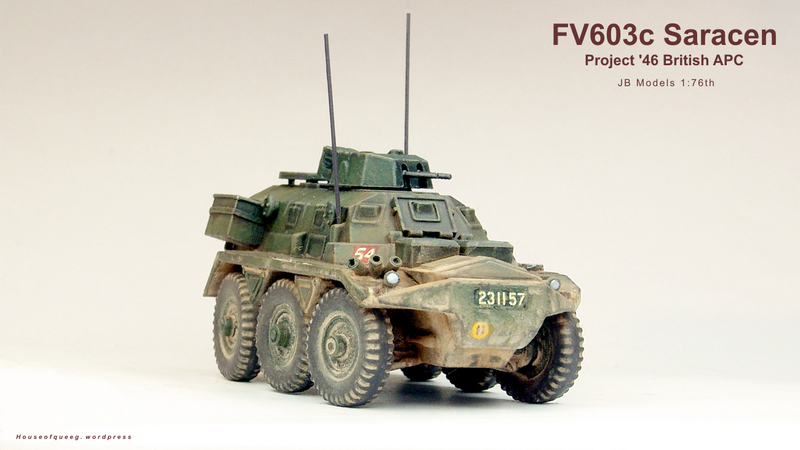 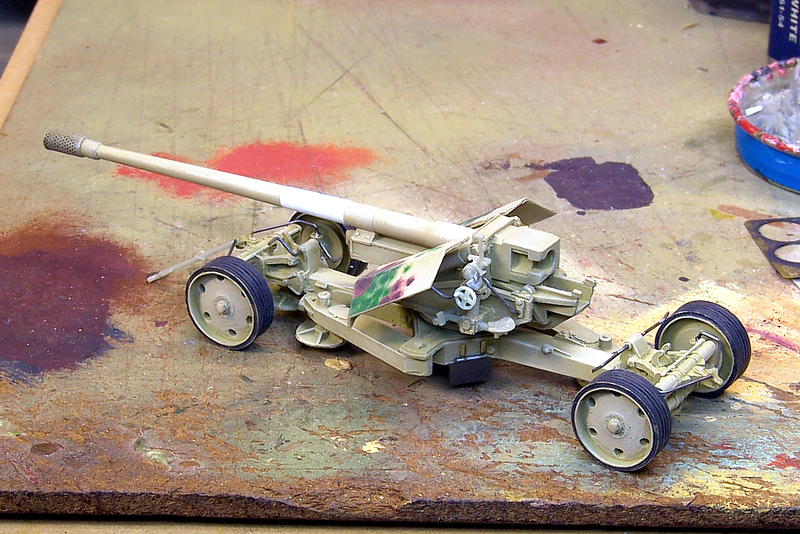 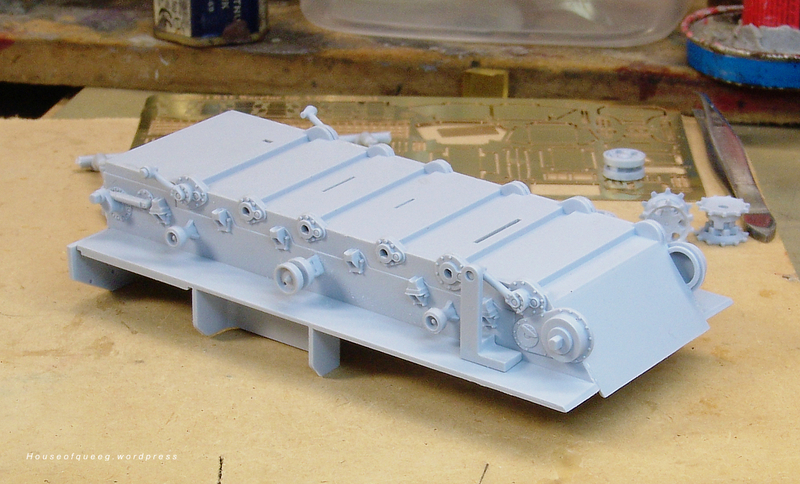 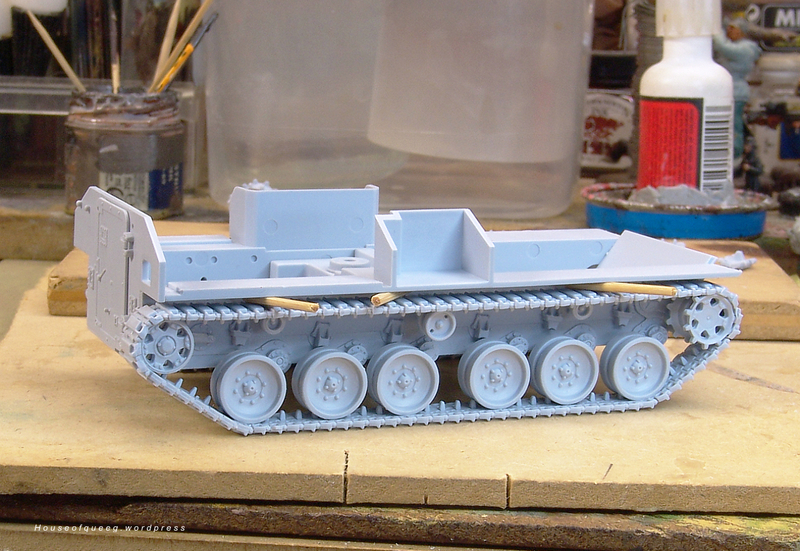 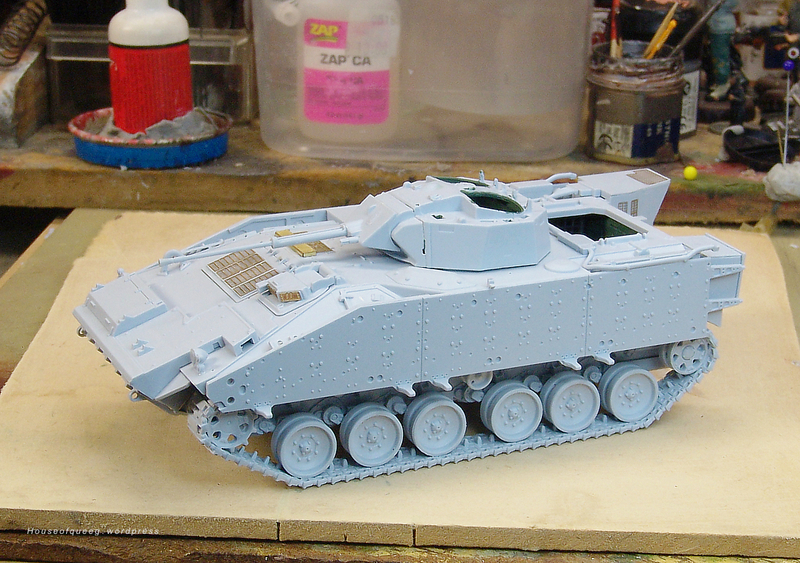 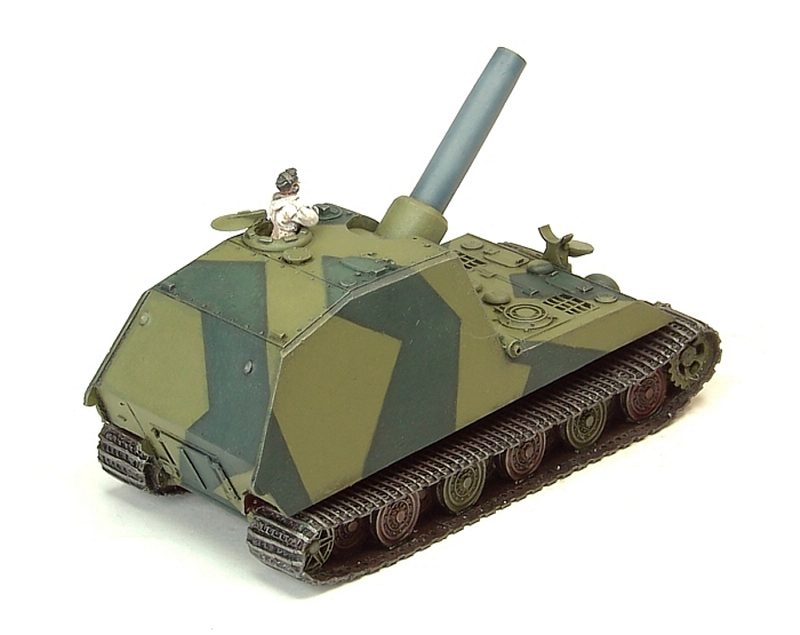 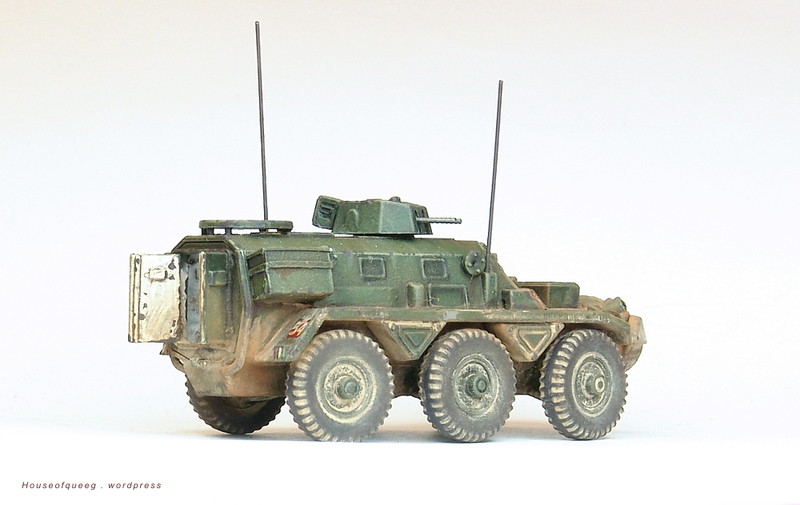 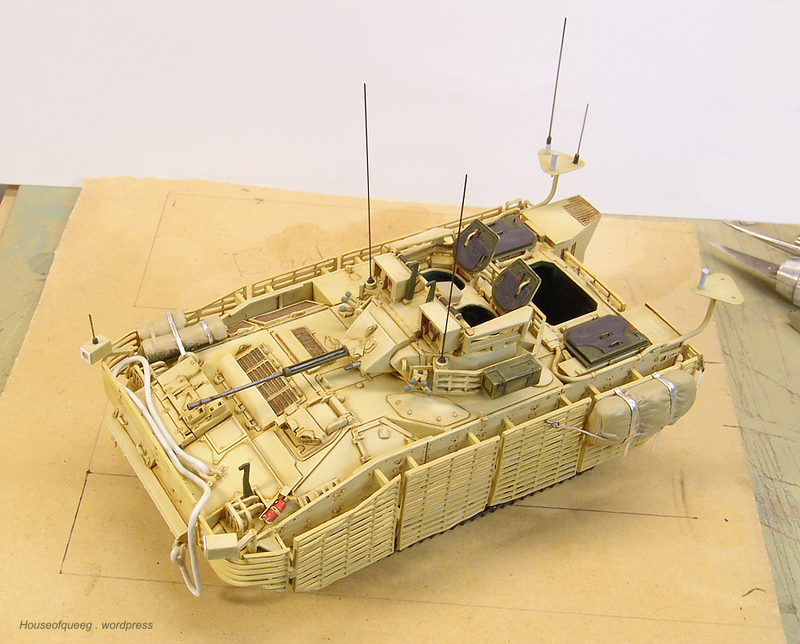 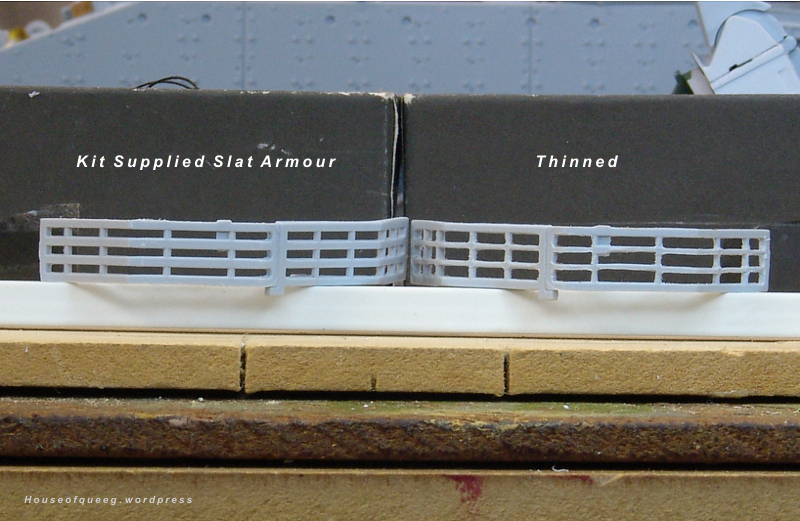 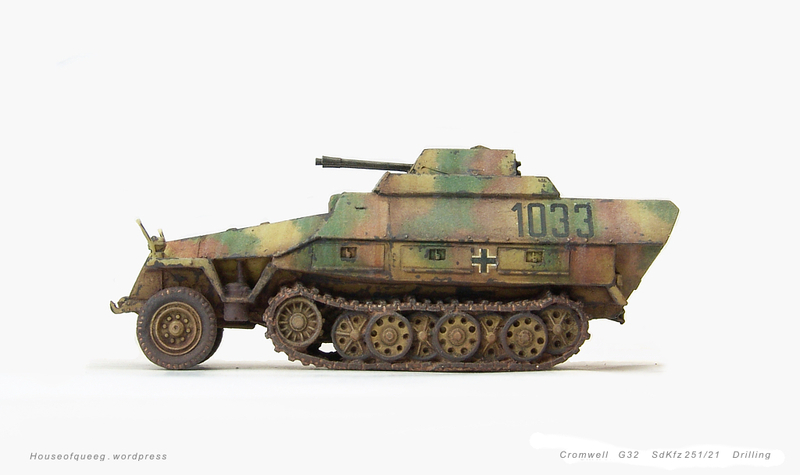 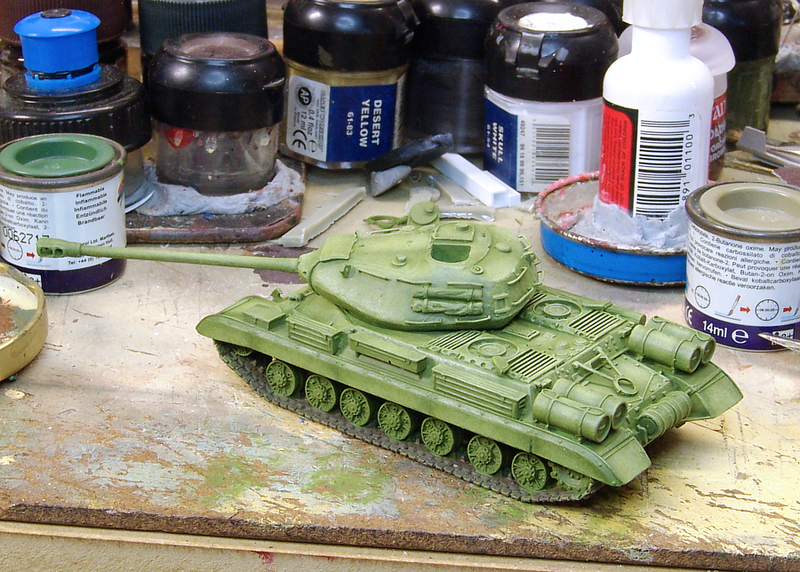 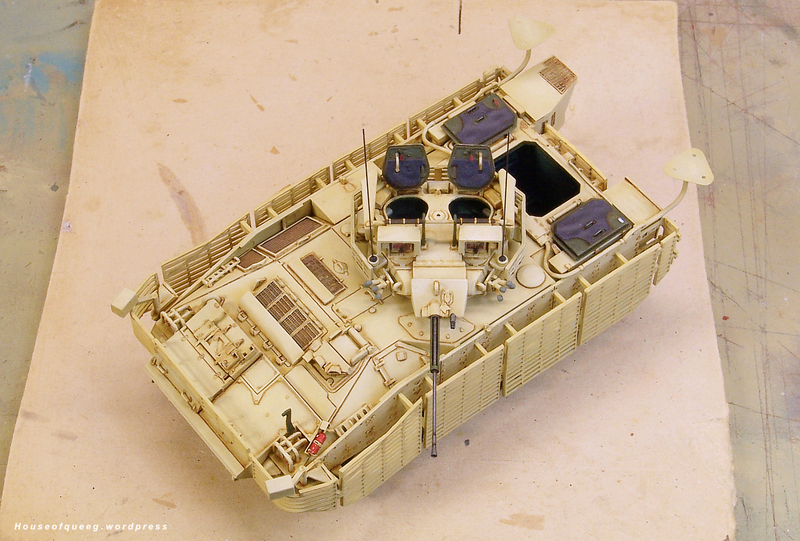 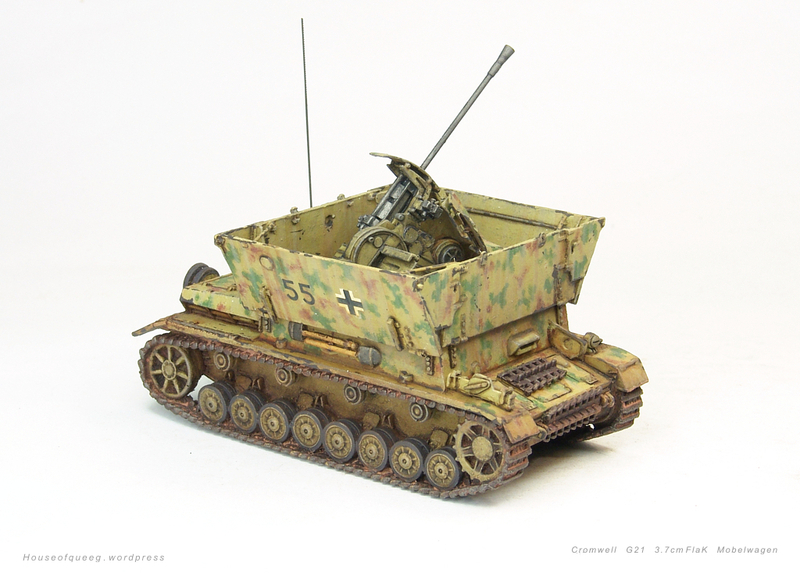 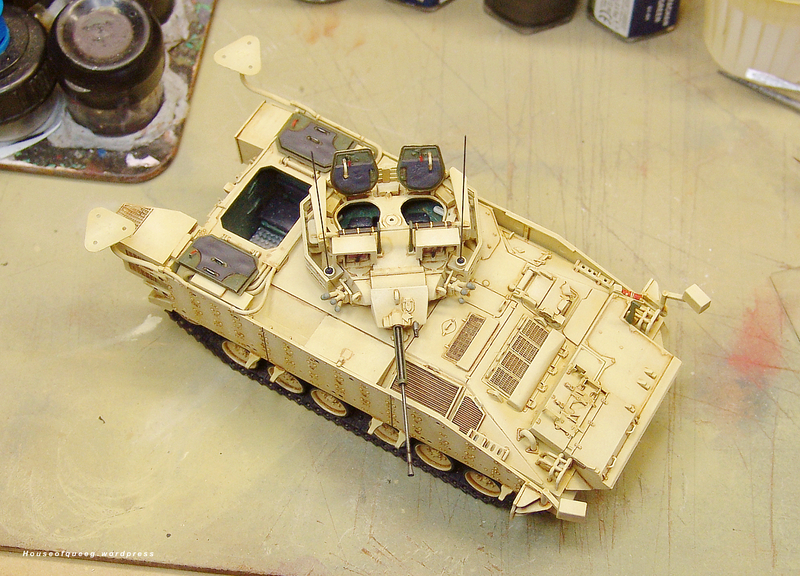 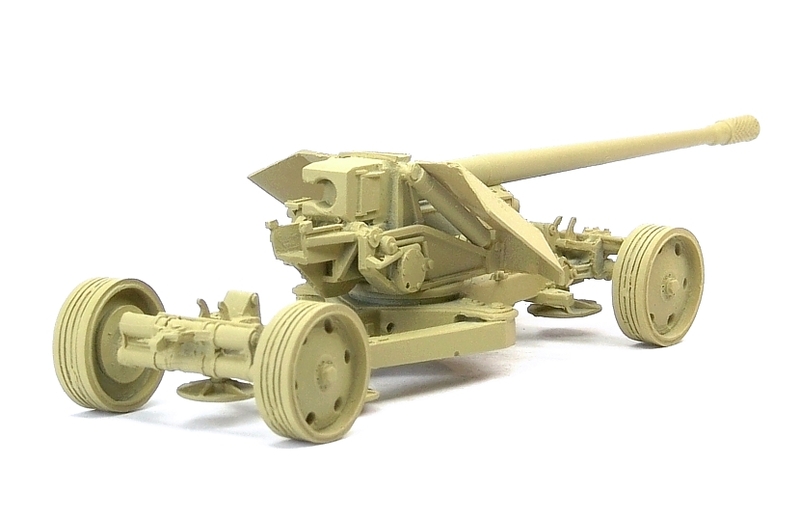 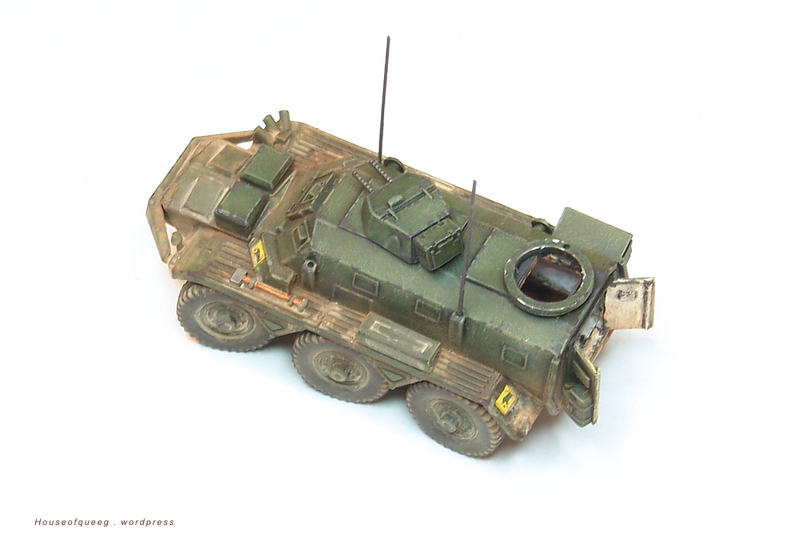 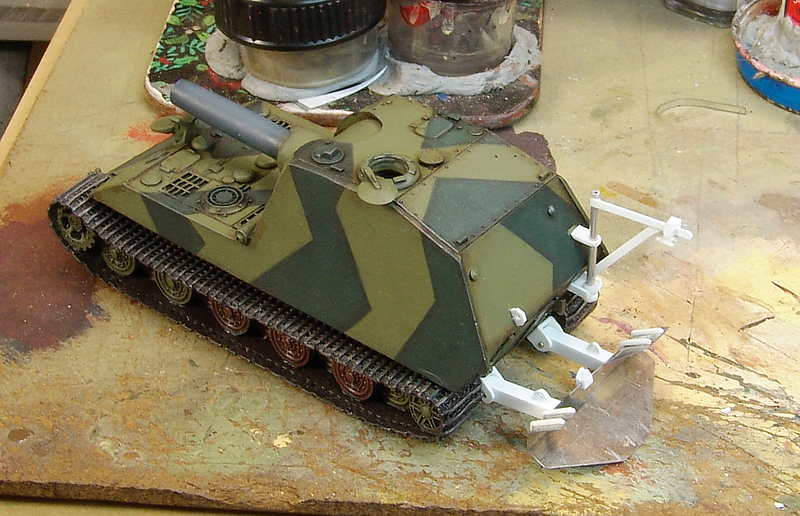 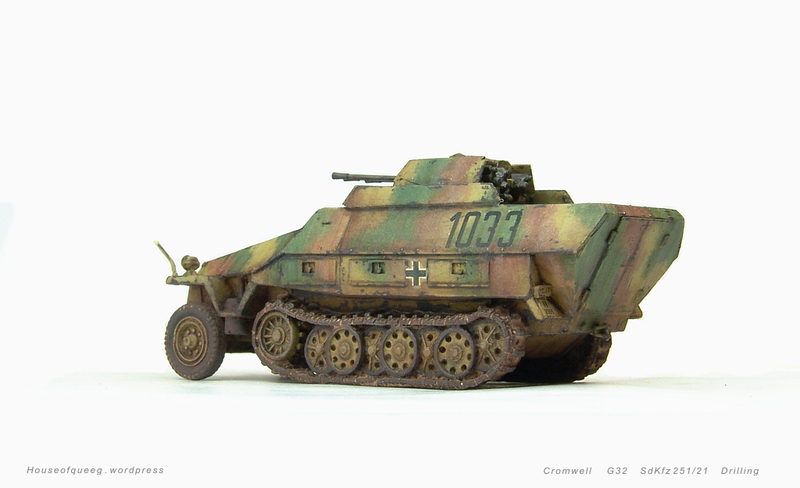 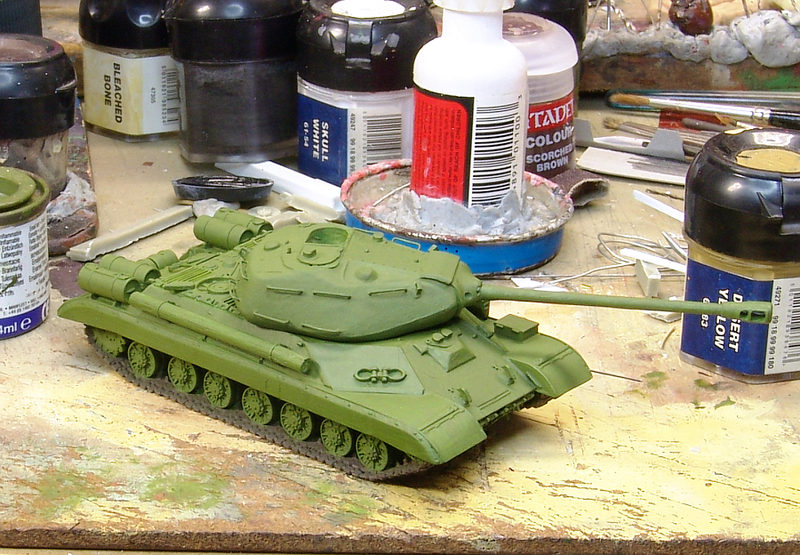 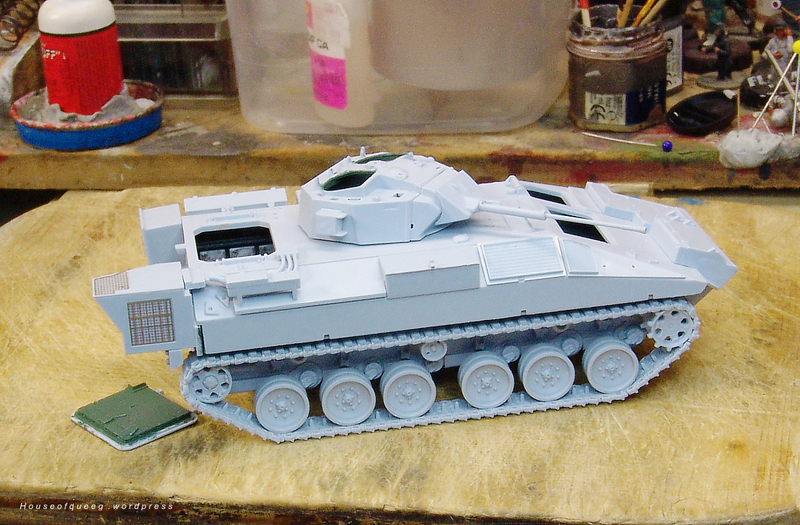 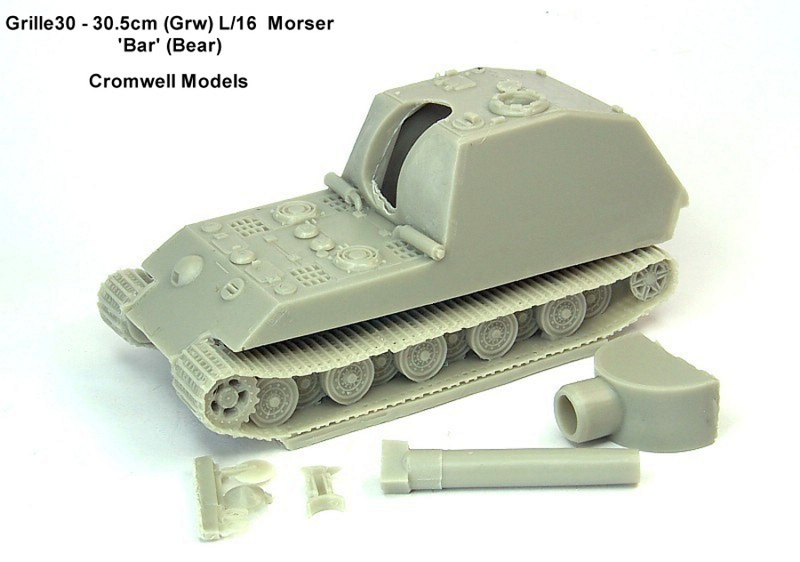 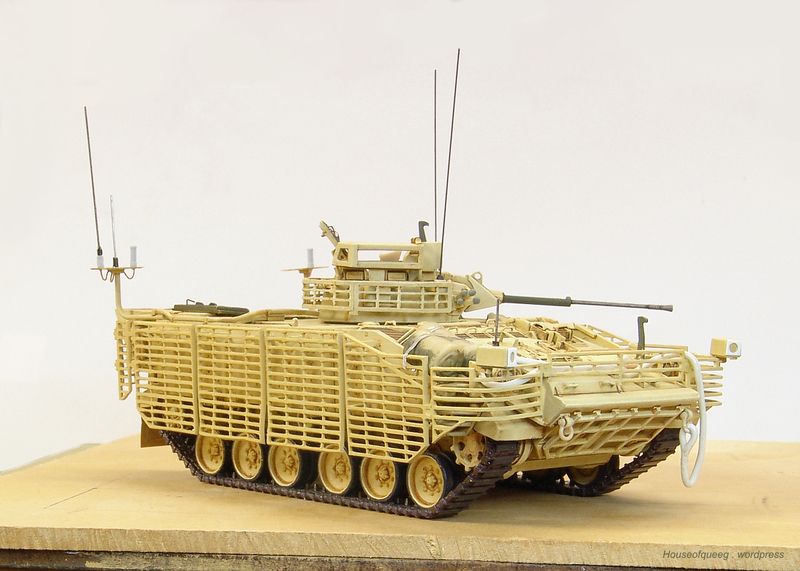 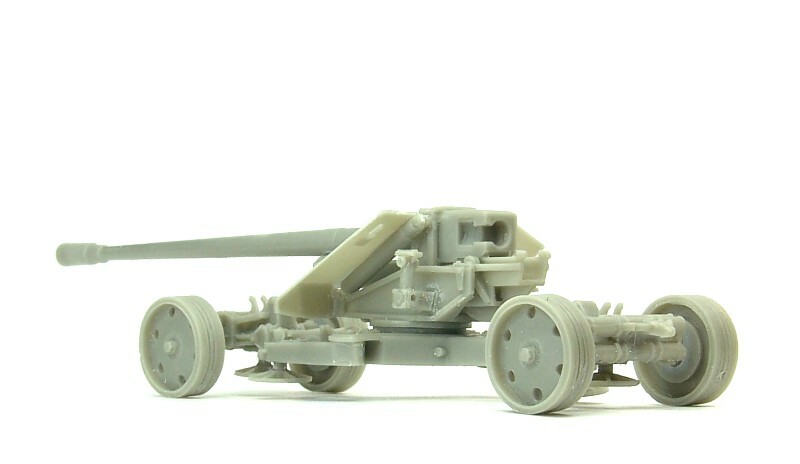 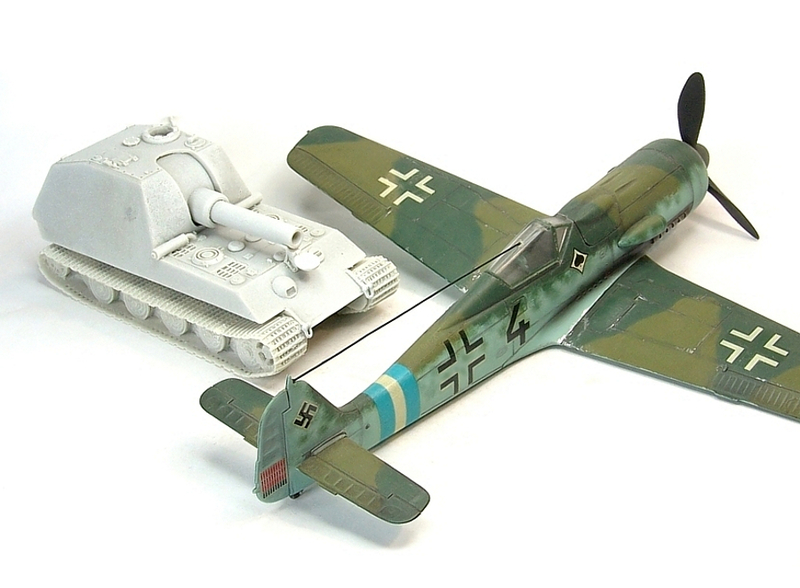 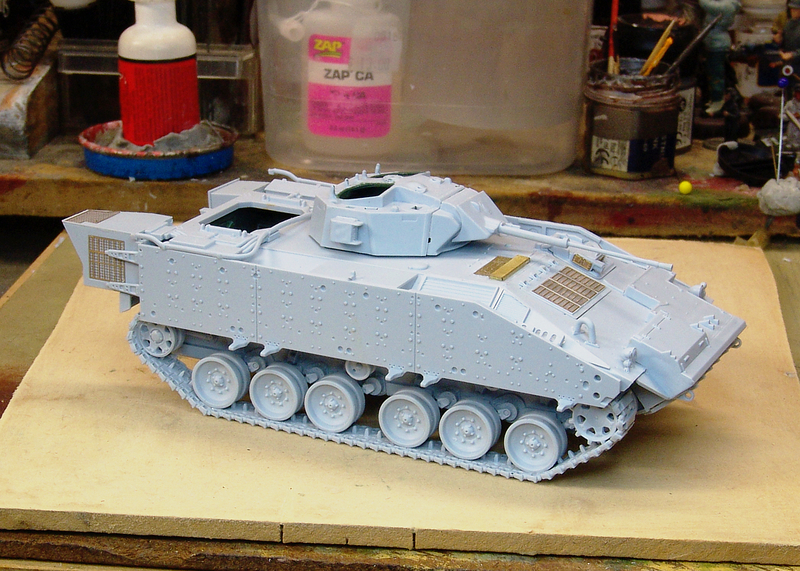 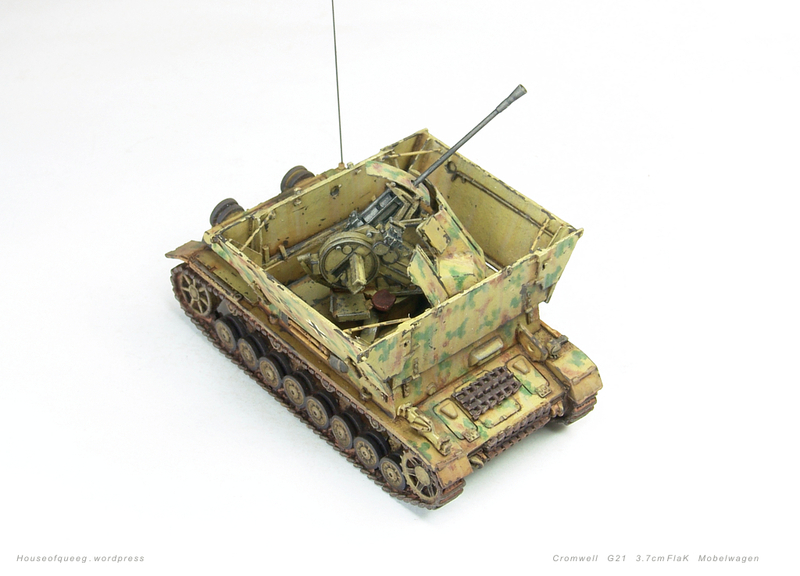 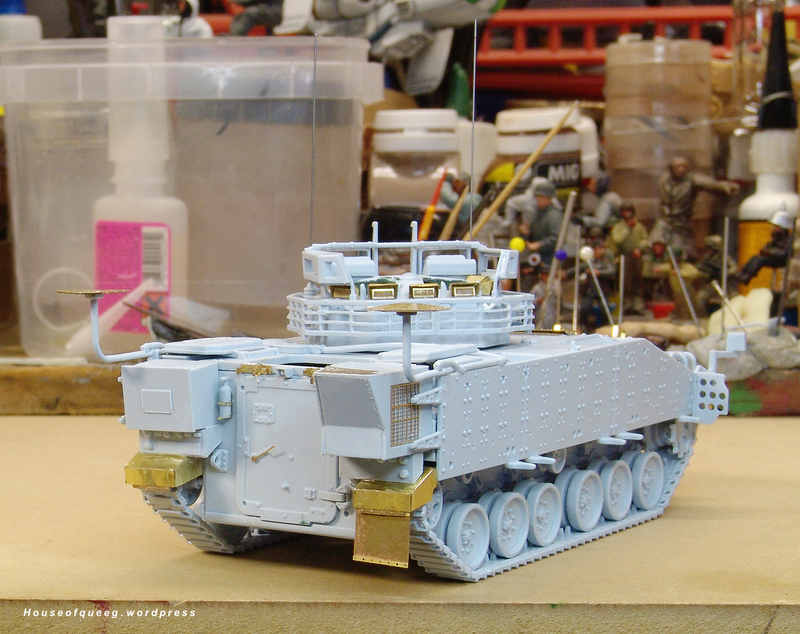 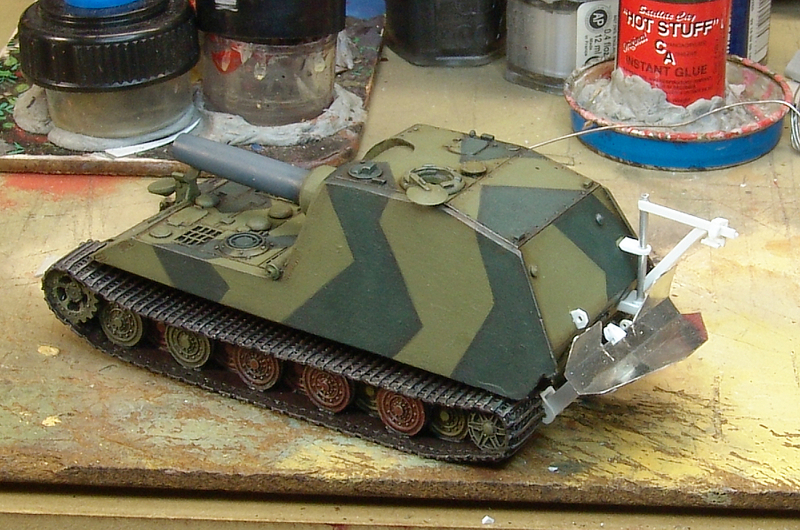 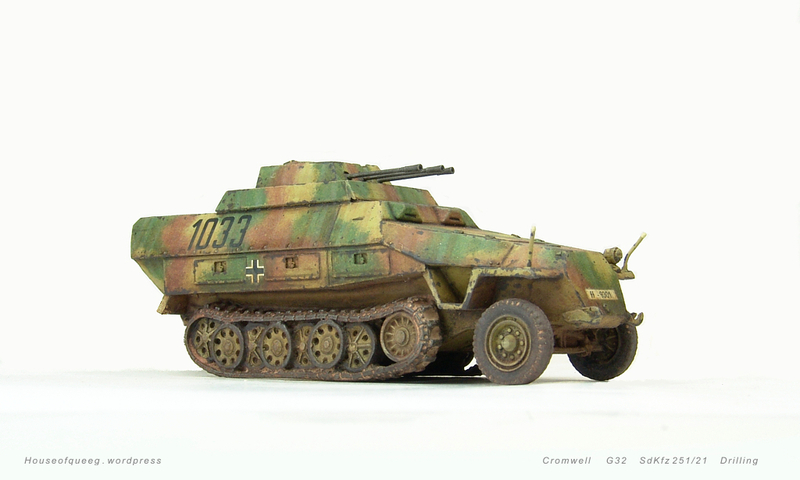 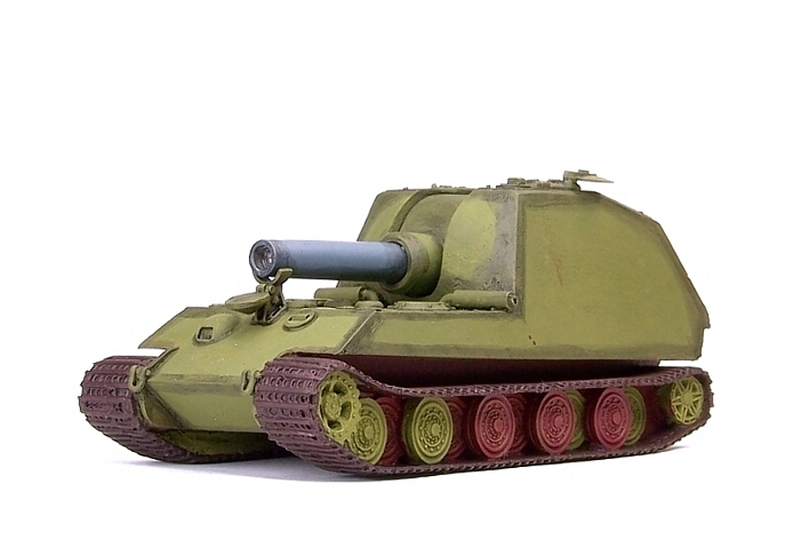 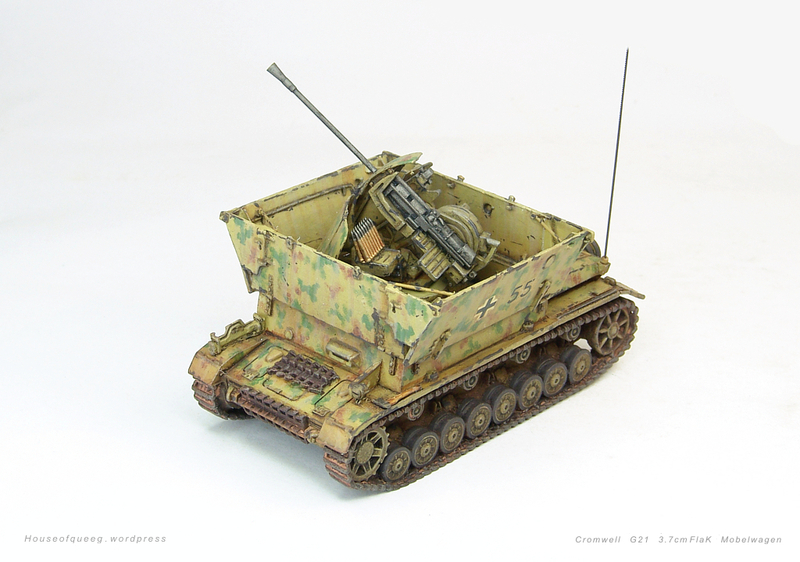 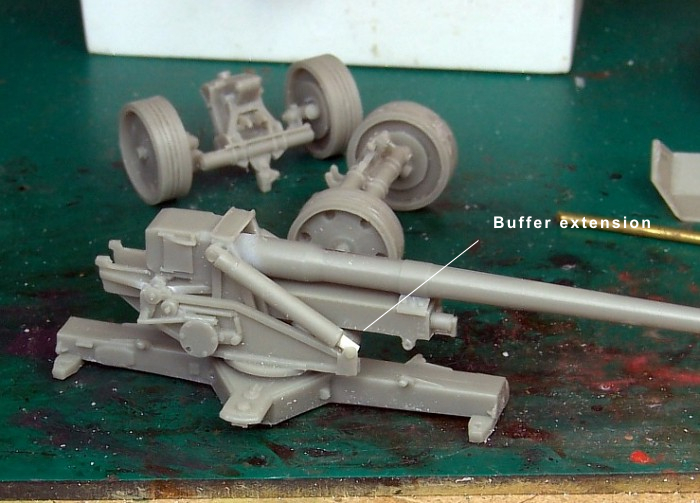 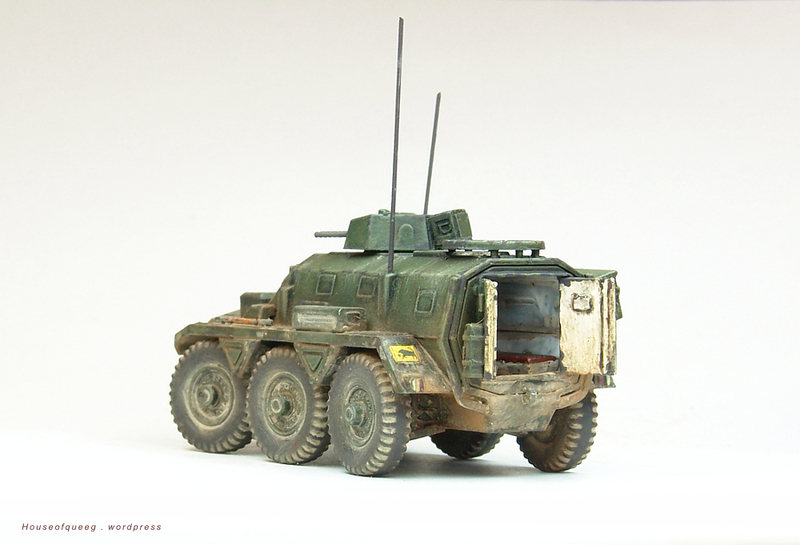 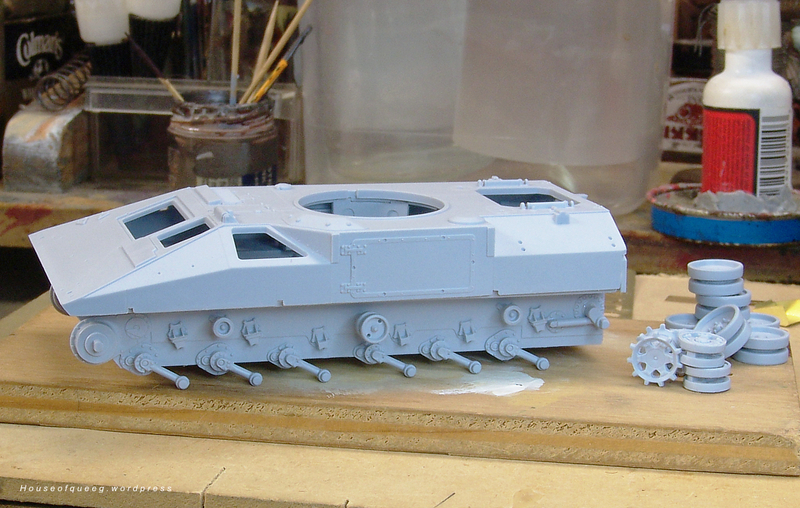 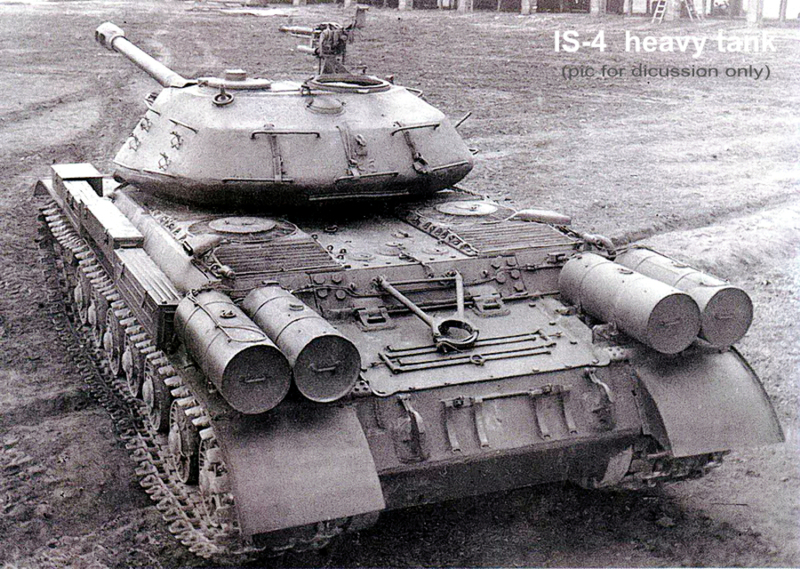 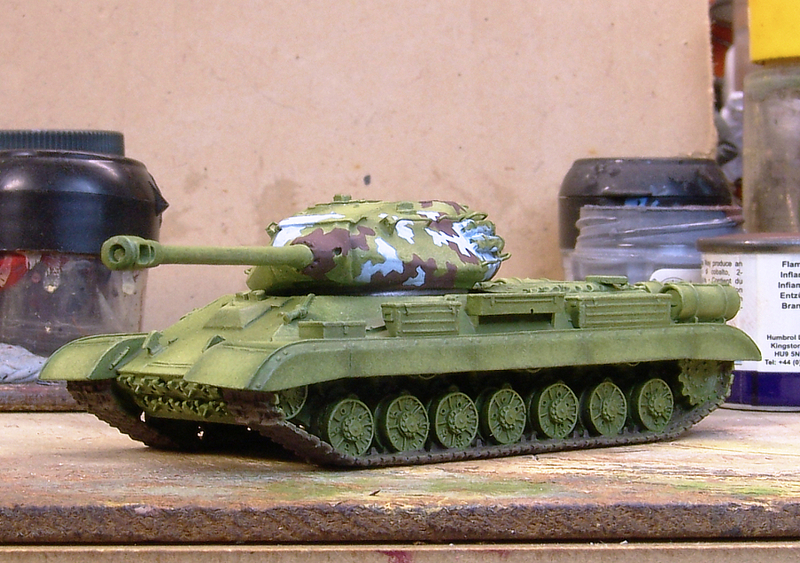 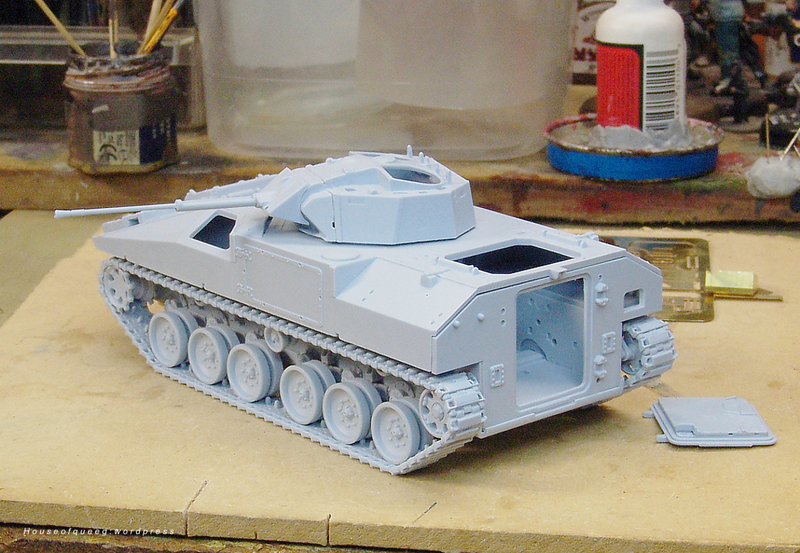 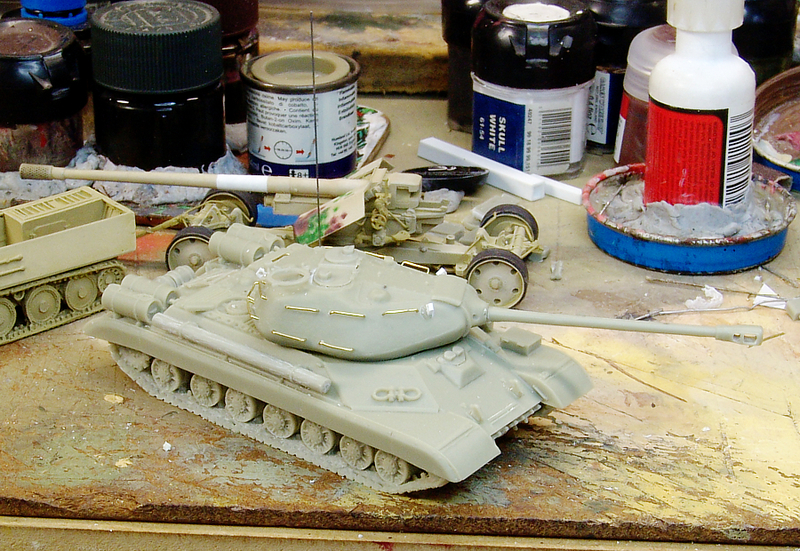 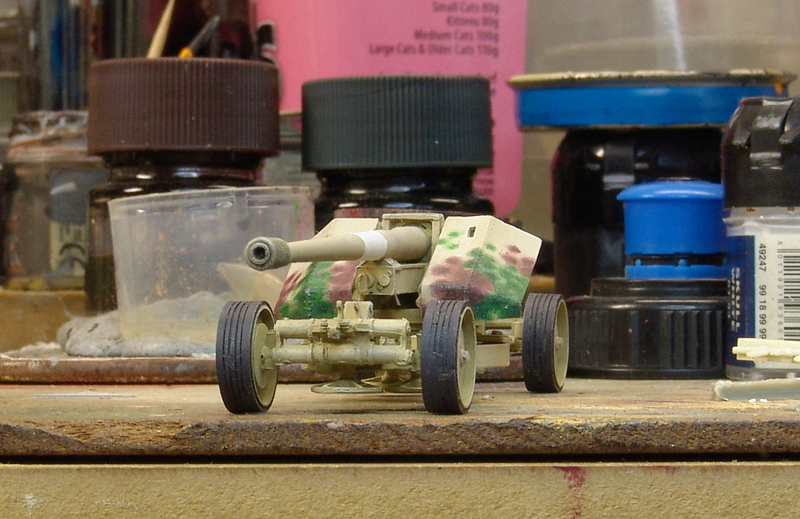 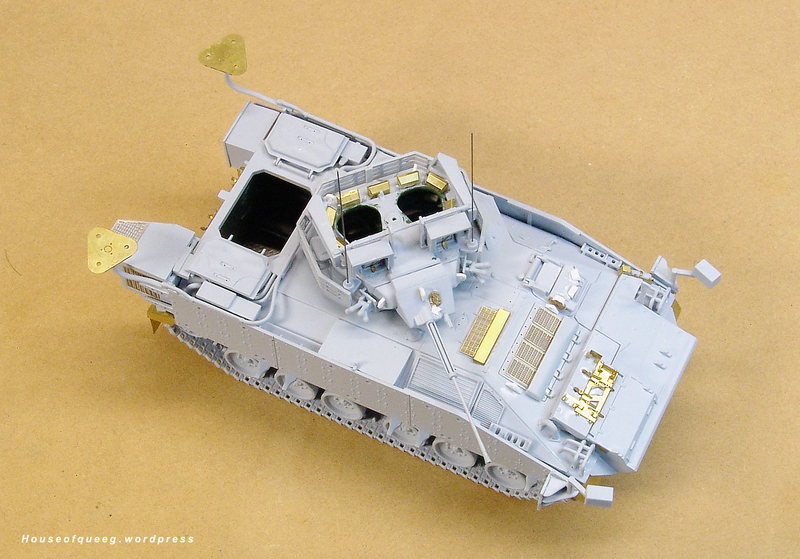 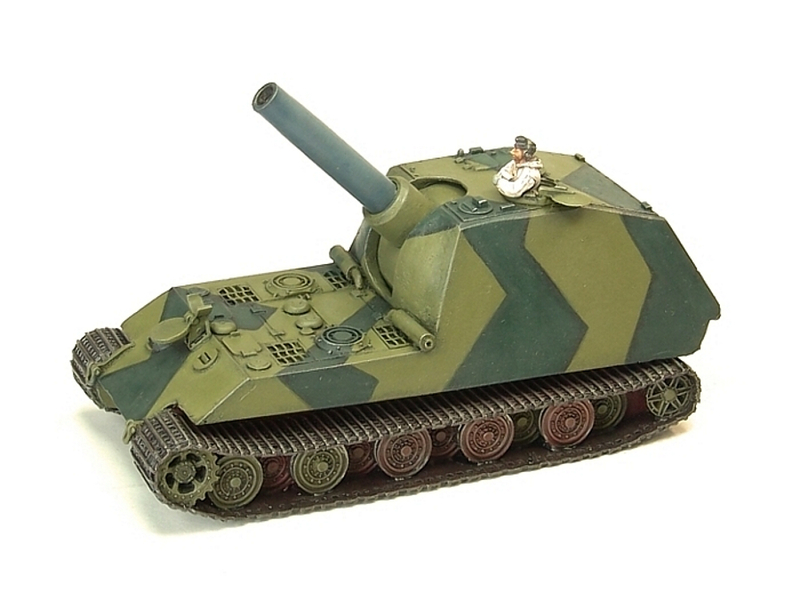 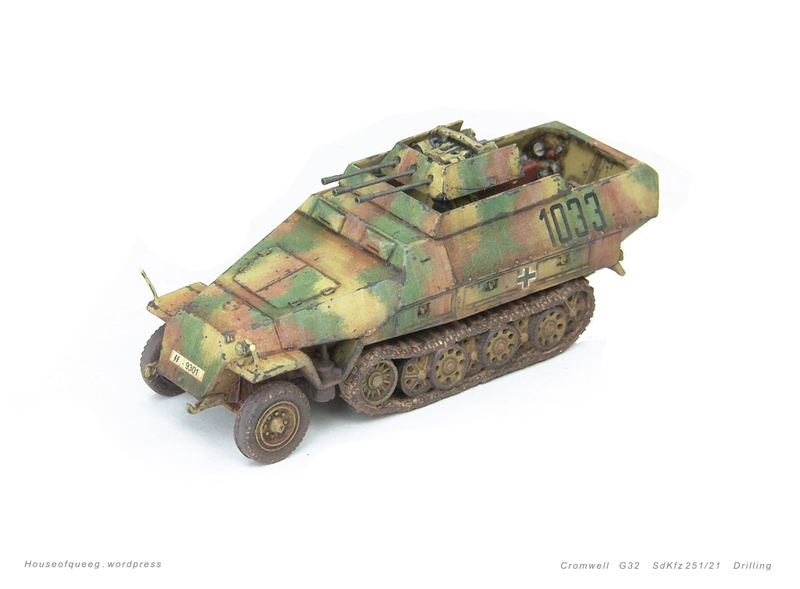 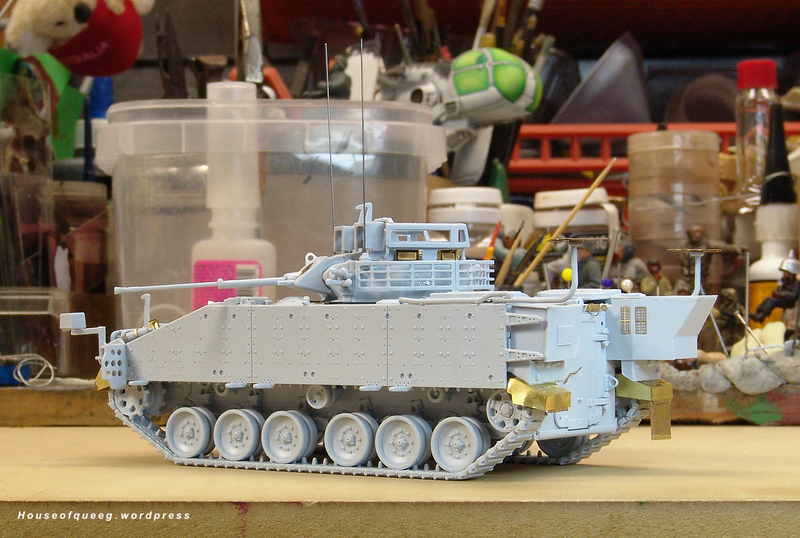 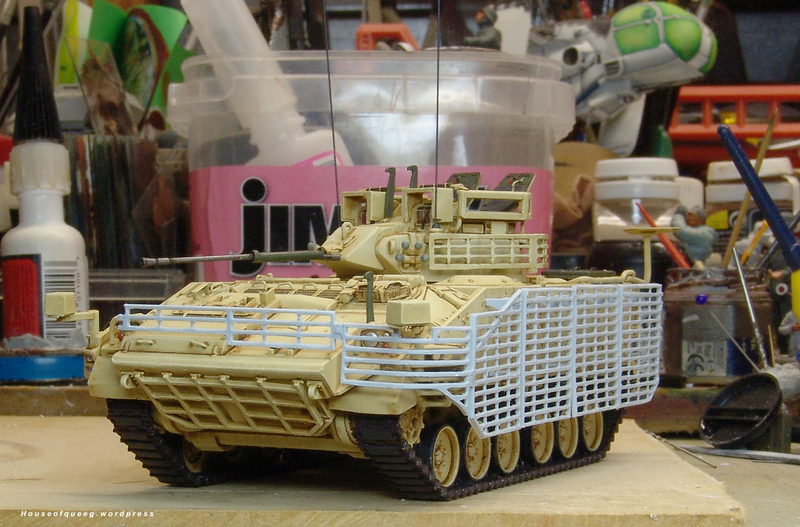 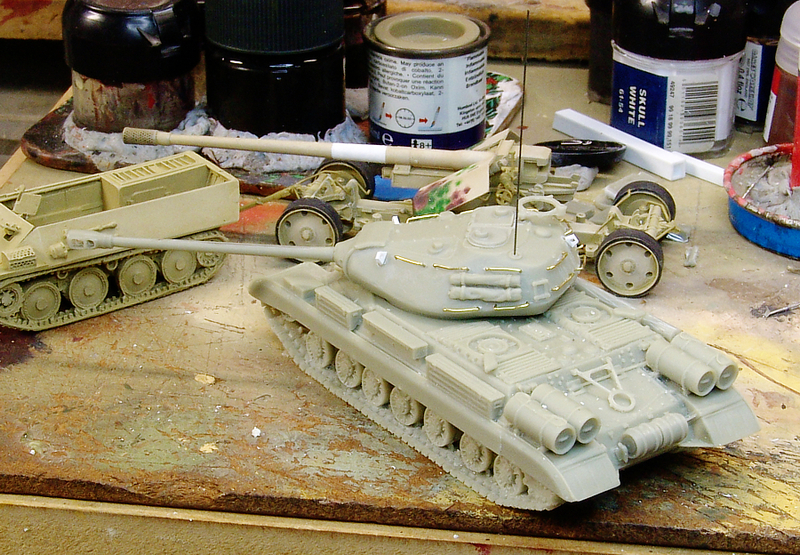 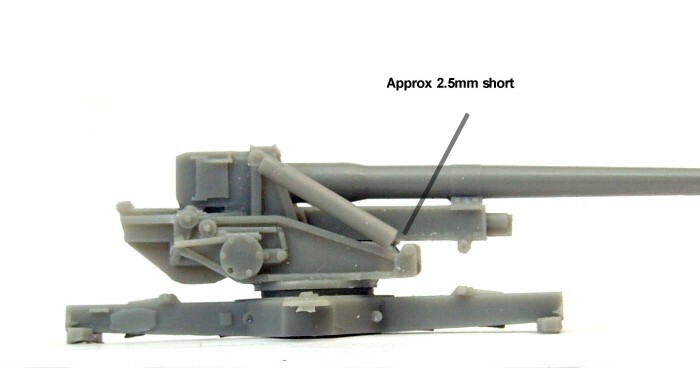 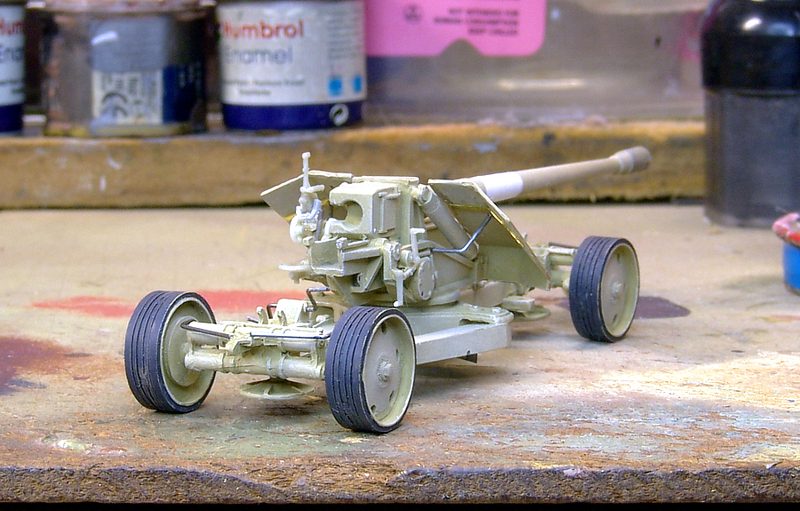 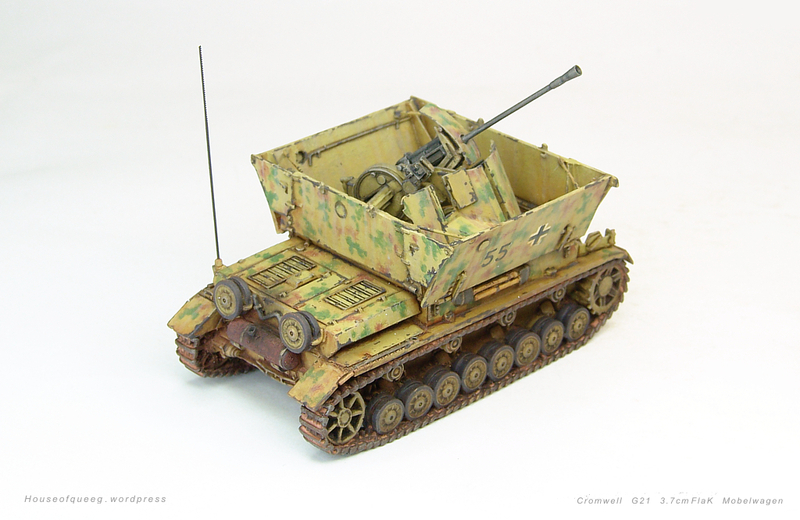 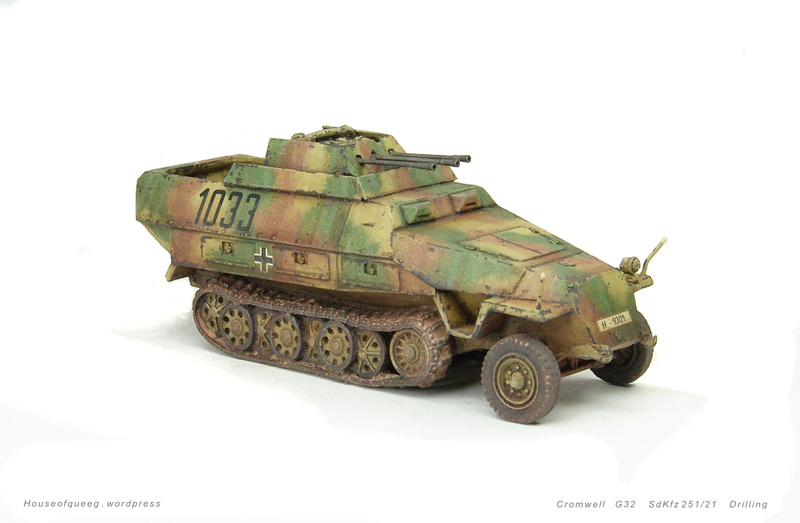 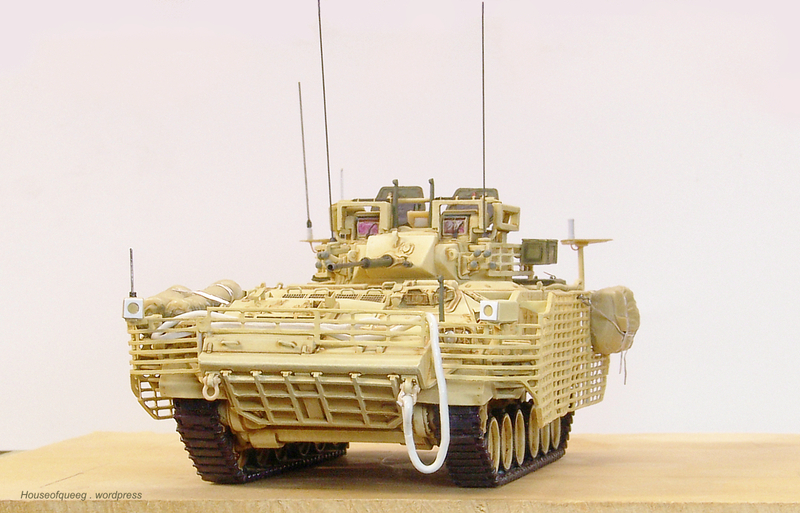 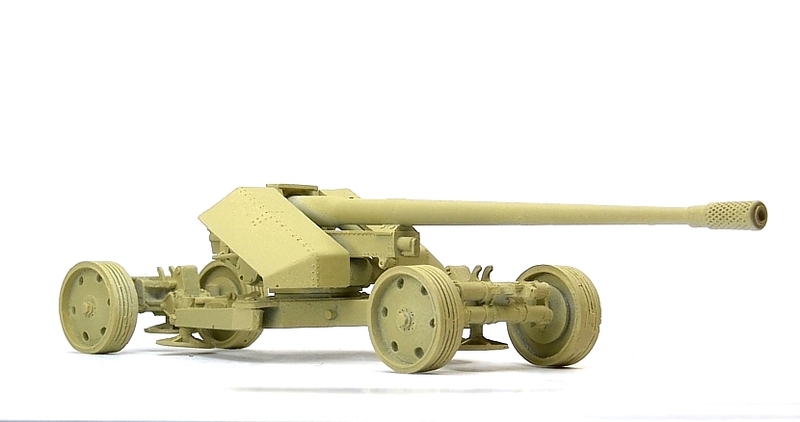 At some stage I’d like to add at least another mortar carrier and an RCL mounted antitank support version to the unit. 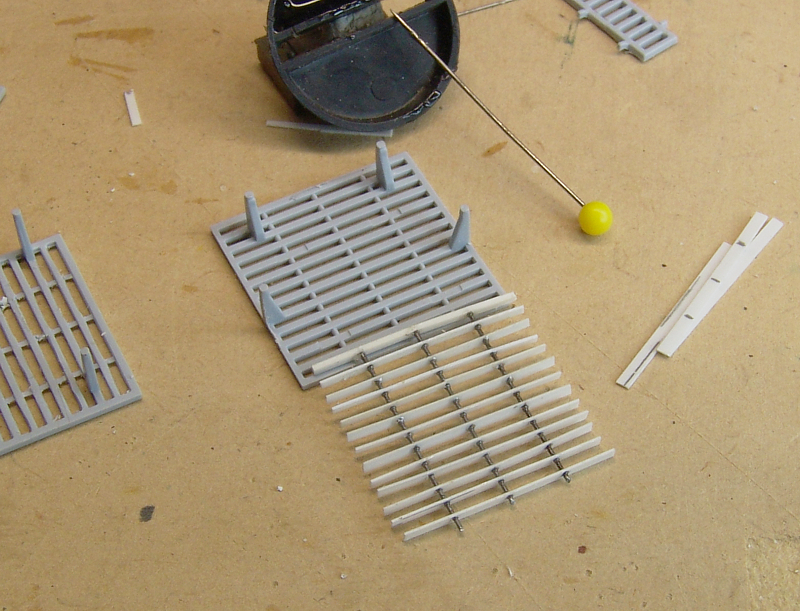 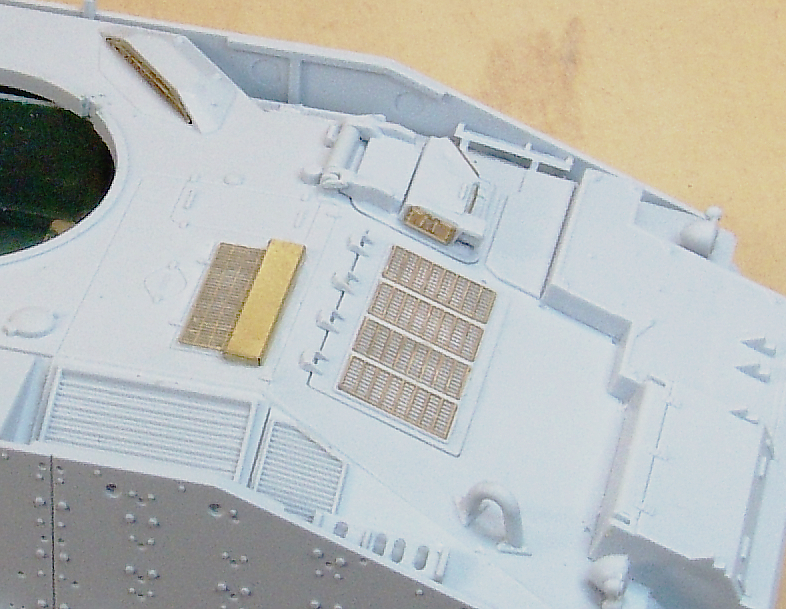 As mentioned it needs some tidying up with the main issue to fix up being the oversize aerials …. 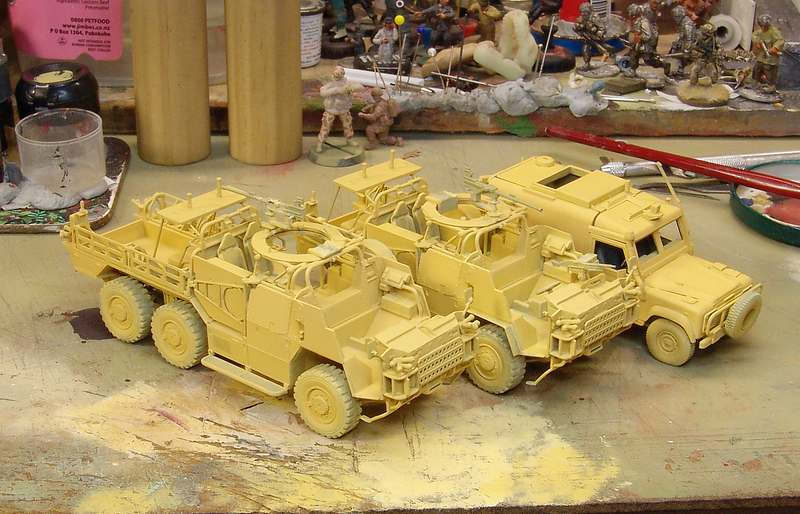 The unit so far …….